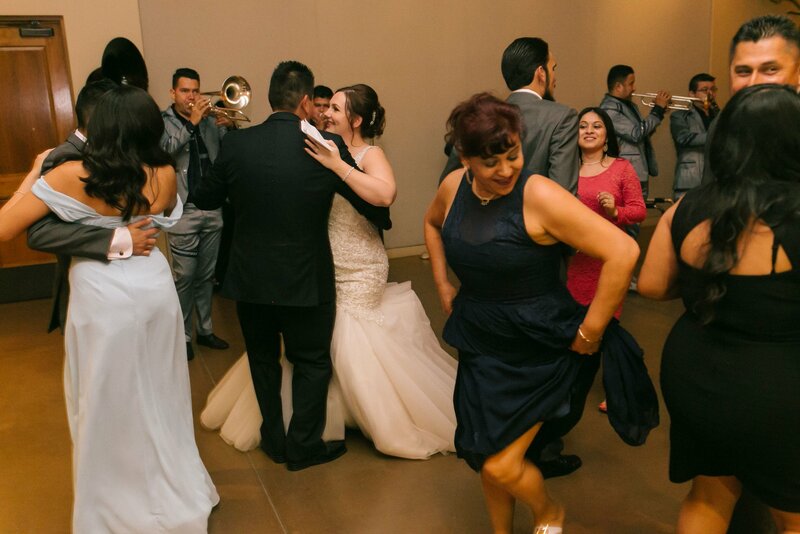 What can I even say about this family? 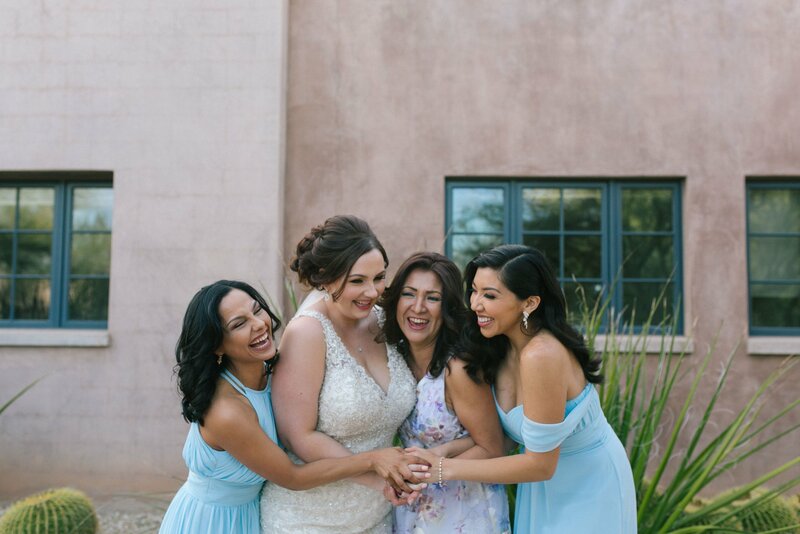 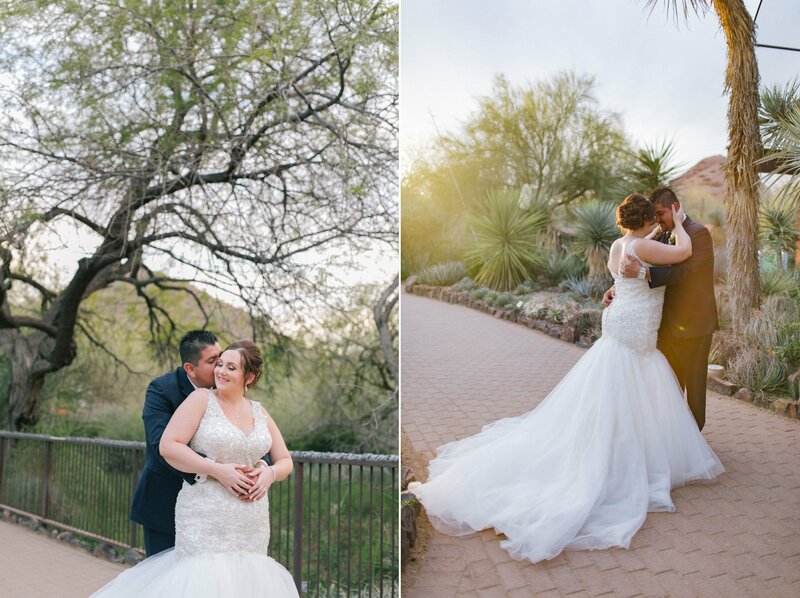 I’ve been honored to photograph this family since Anita & Javier’s Phoenix Art Museum wedding, then again for Jaime & Fatima’s Piestawa Peak engagement session, Danielle & Mauricio’s Boyce Thompson Arboretum engagement session, and now their Desert Botanical Garden wedding. 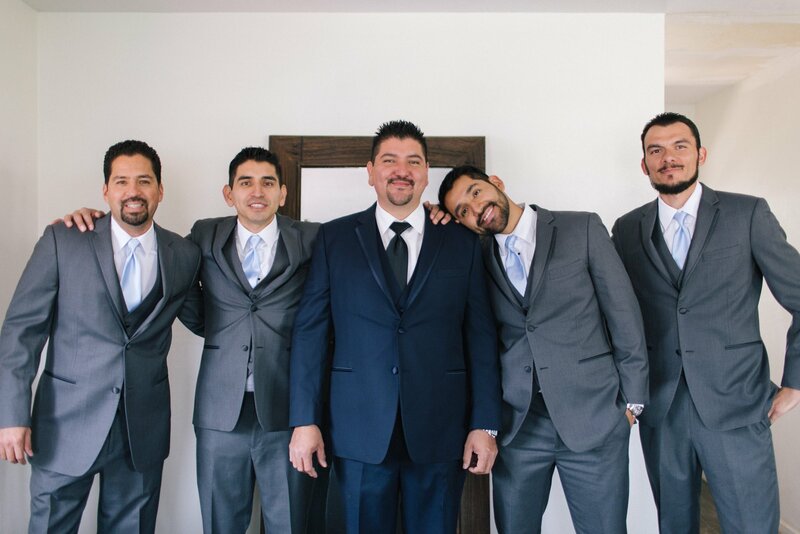 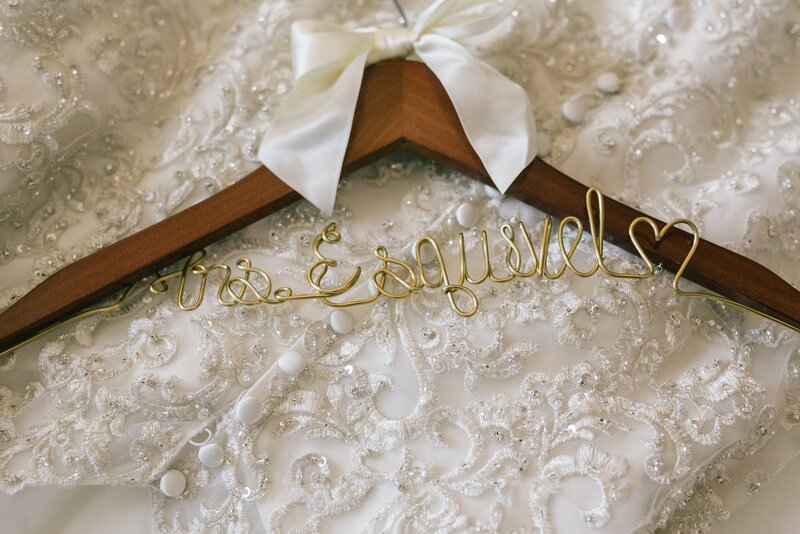 The whole Esquivel family values family and friends over everything, is loyal to a fault and the most open, joyful people. 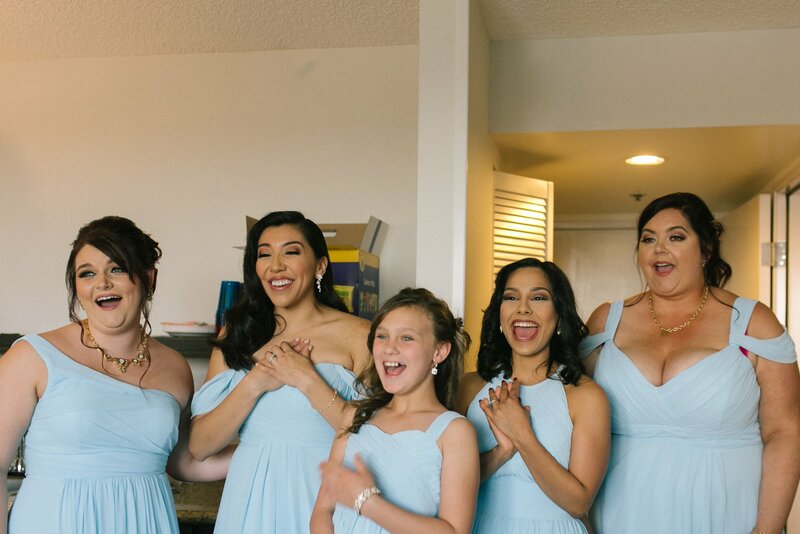 I’d love to be adopted by them. 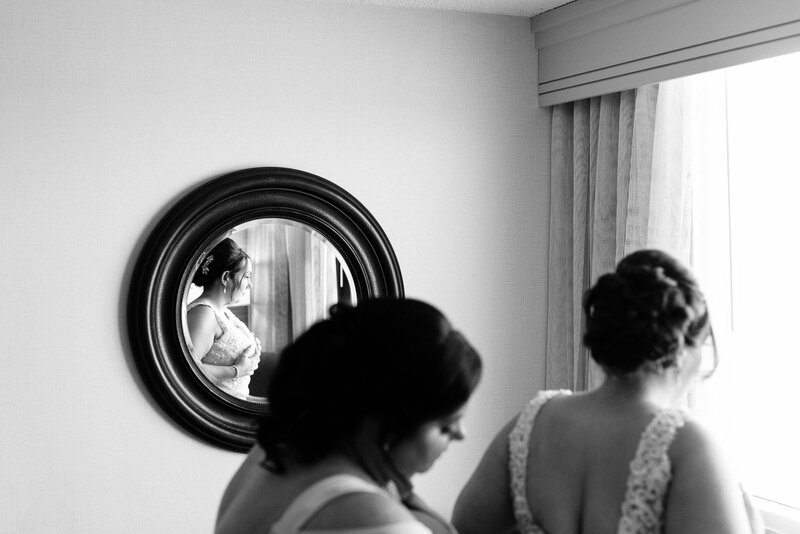 It has been a huge honor to document so much of their important events! 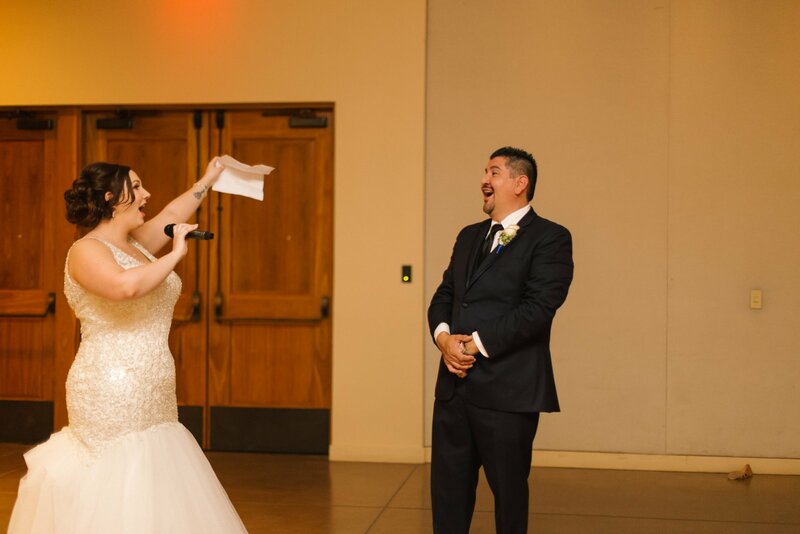 Danielle plotted a big surprise for Mauricio. 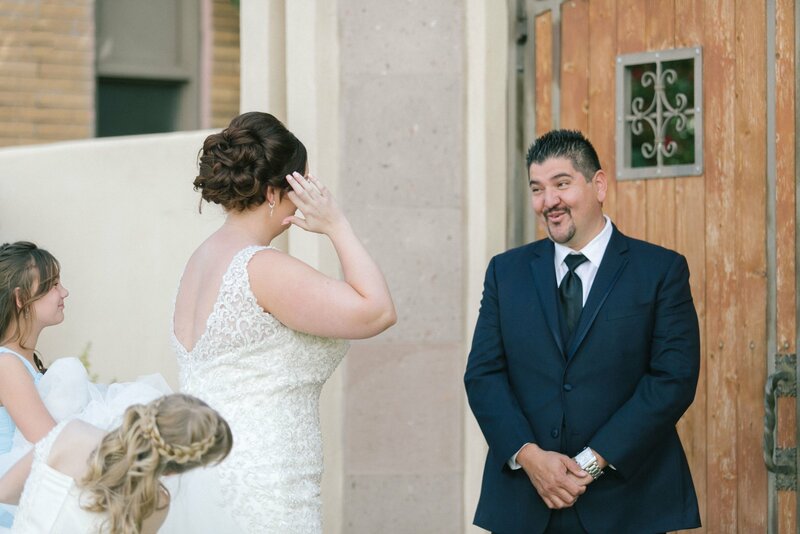 She said to me that she’s not very good at keeping secrets, but was keeping a big one from him. 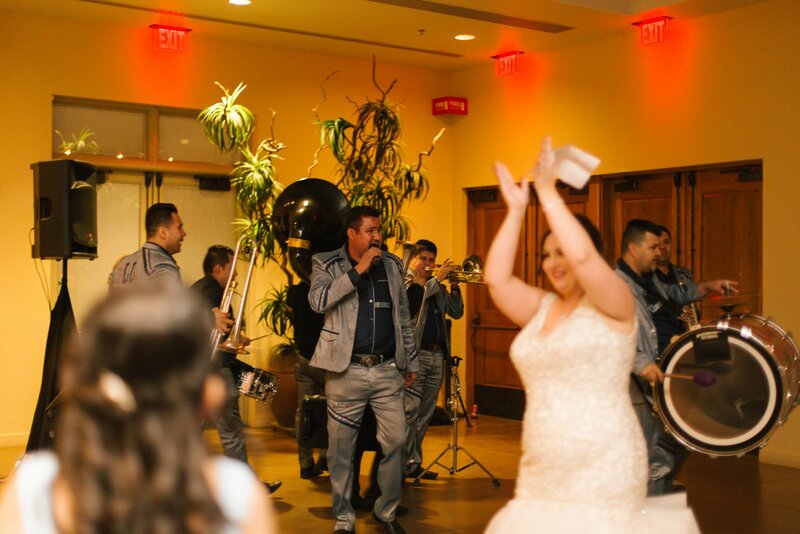 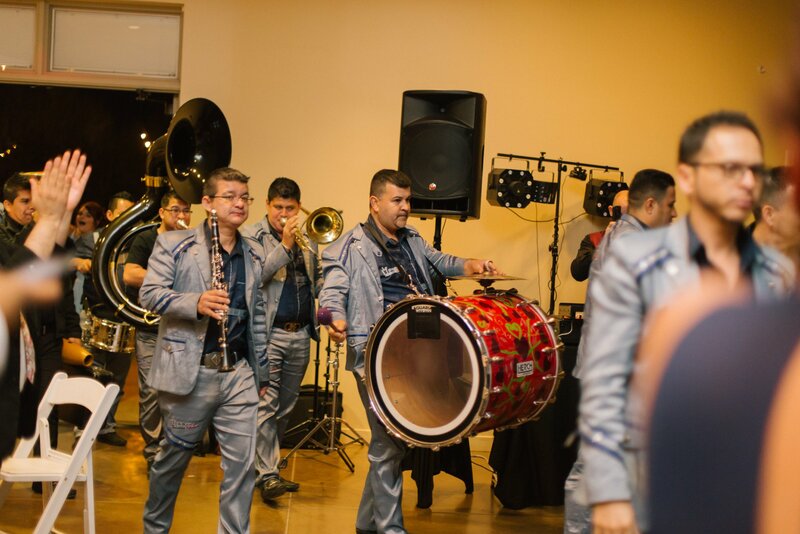 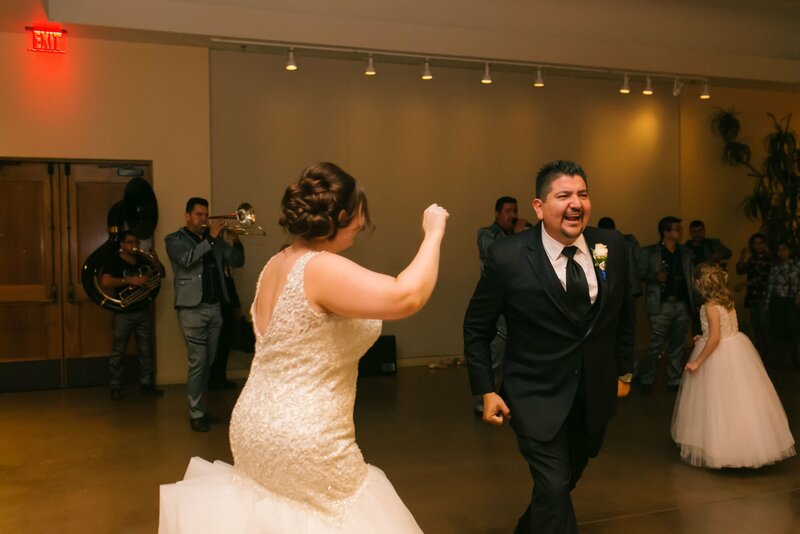 Mauricio really wanted a banda- a full piece Mexican band, way bigger than a mariachi band. 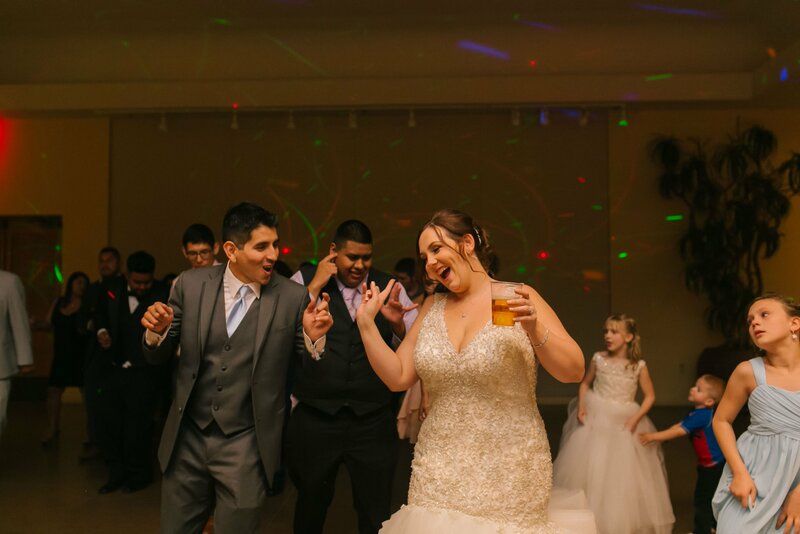 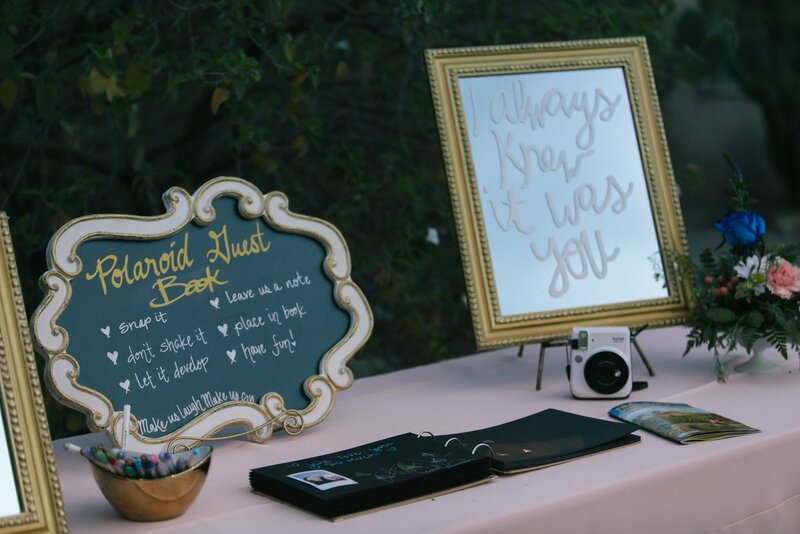 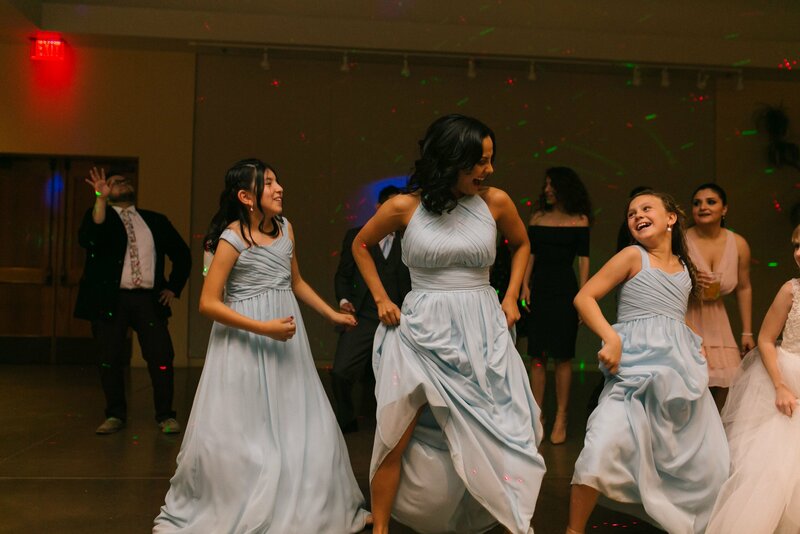 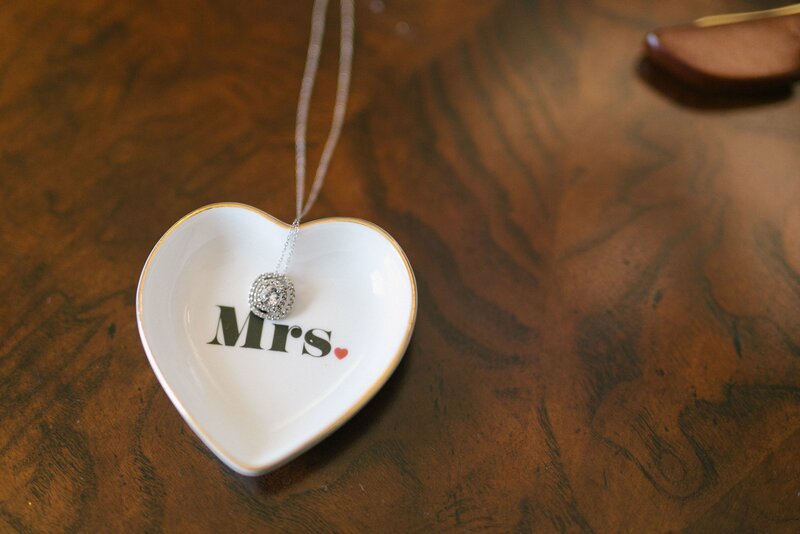 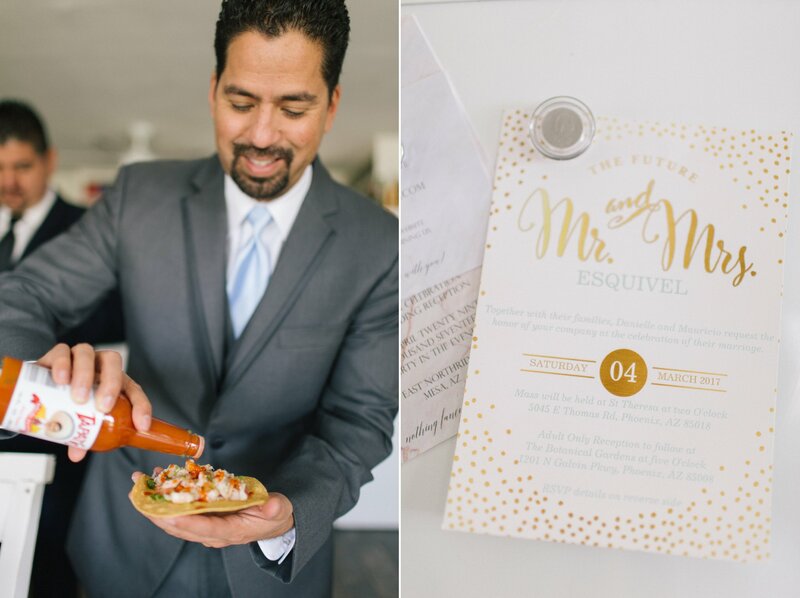 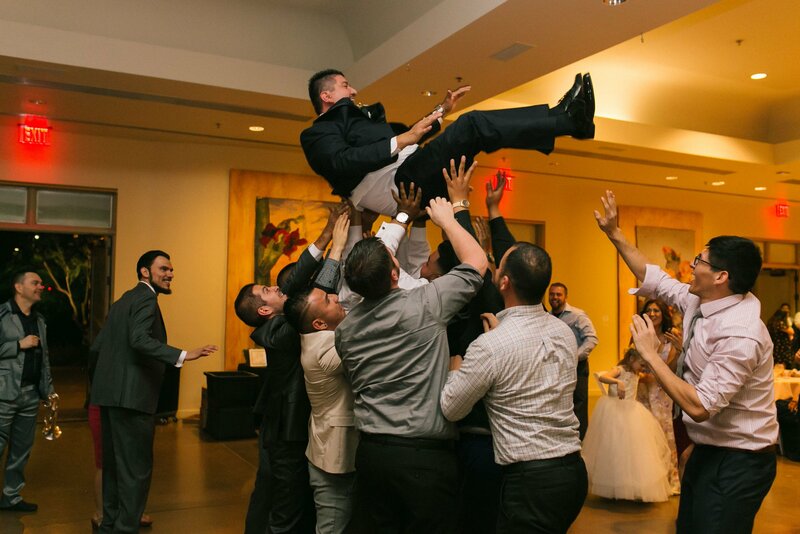 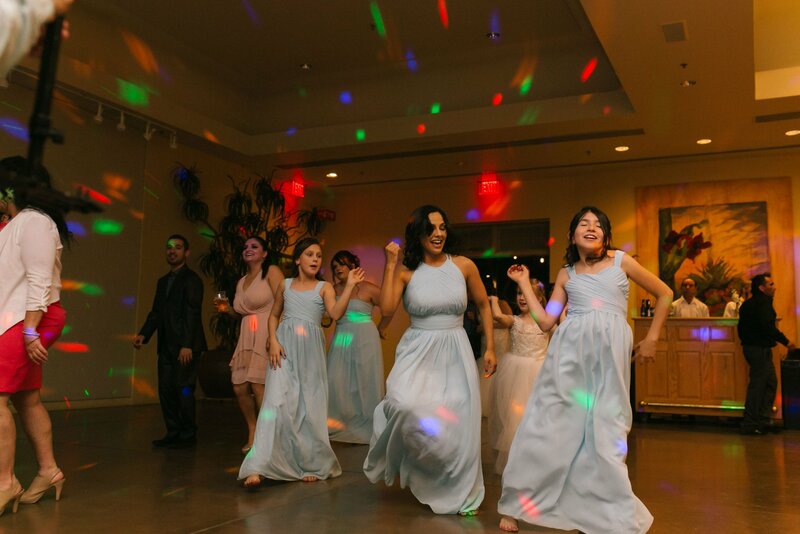 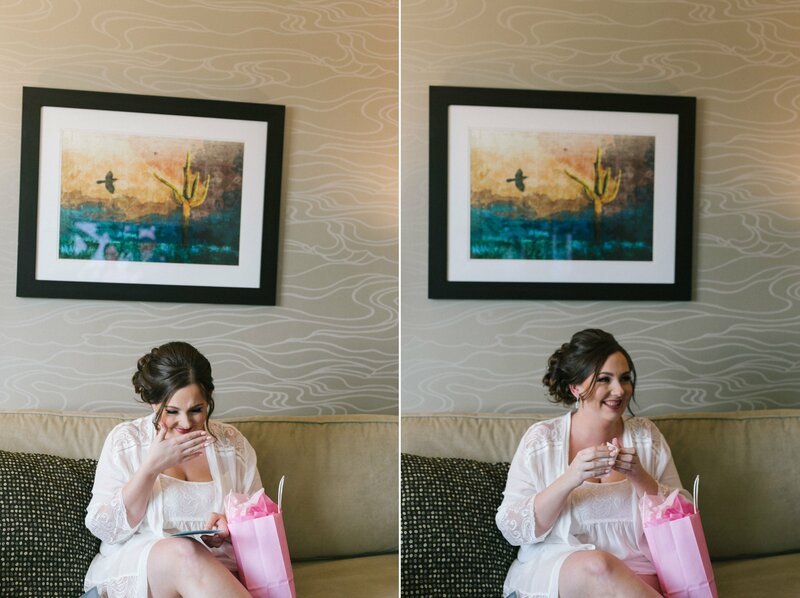 She managed to keep that loud, boisterous surprise under wraps until the reception, when they burst in! 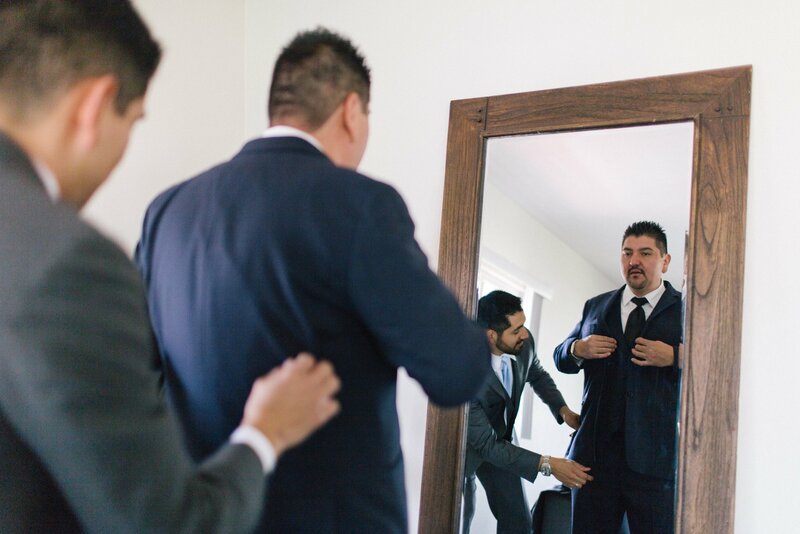 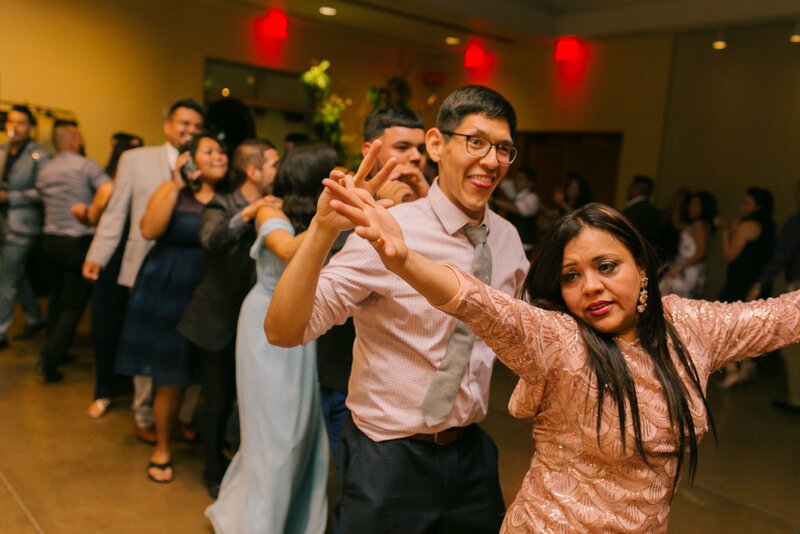 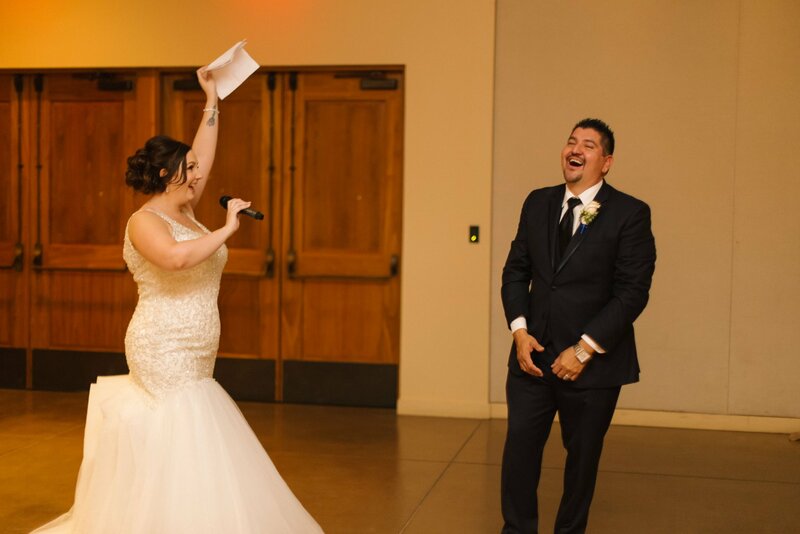 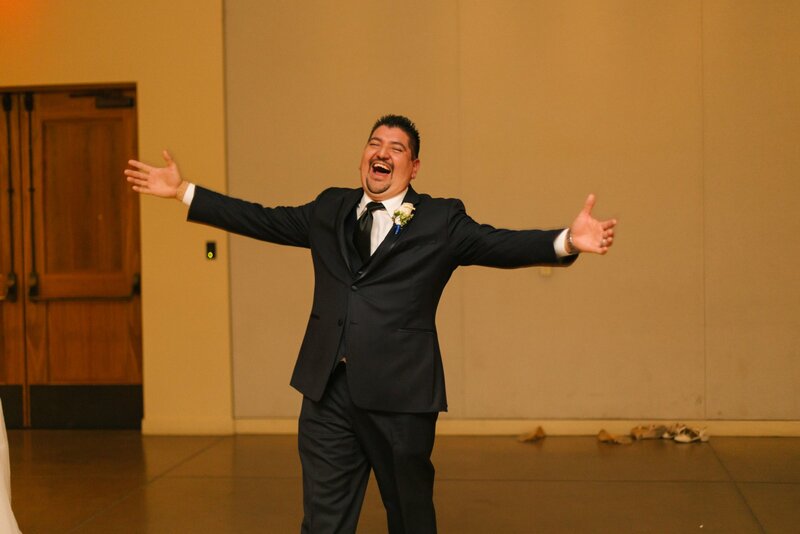 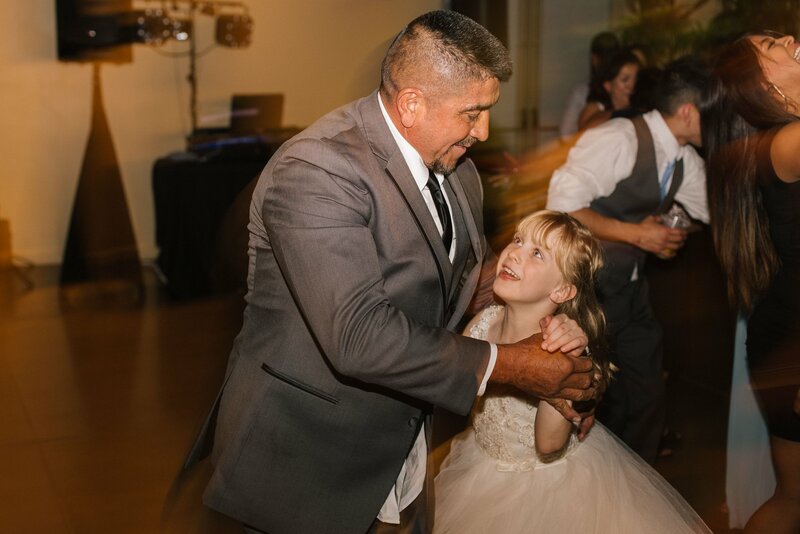 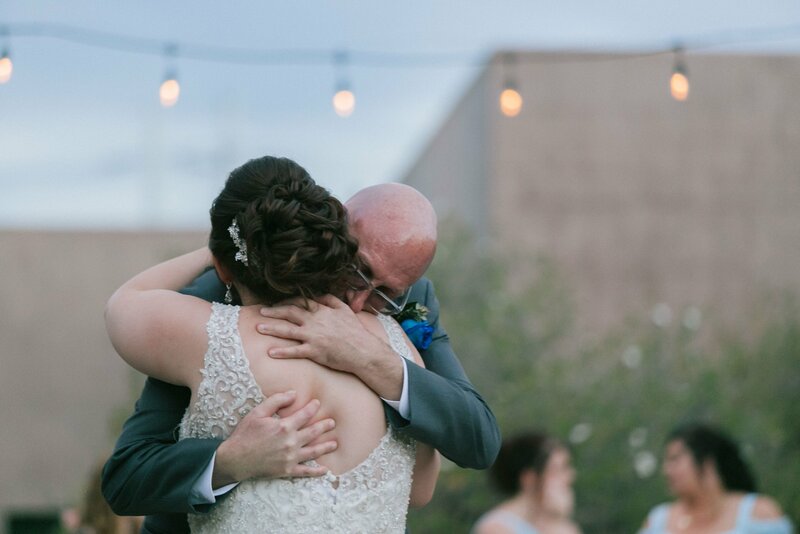 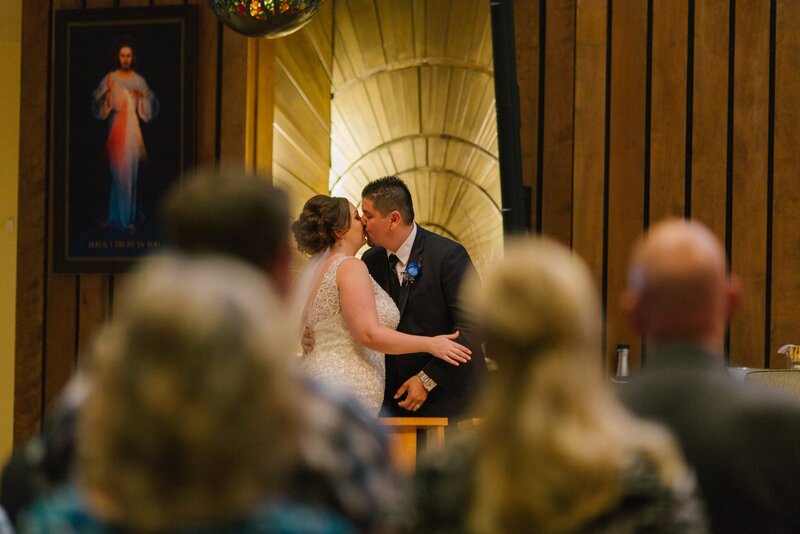 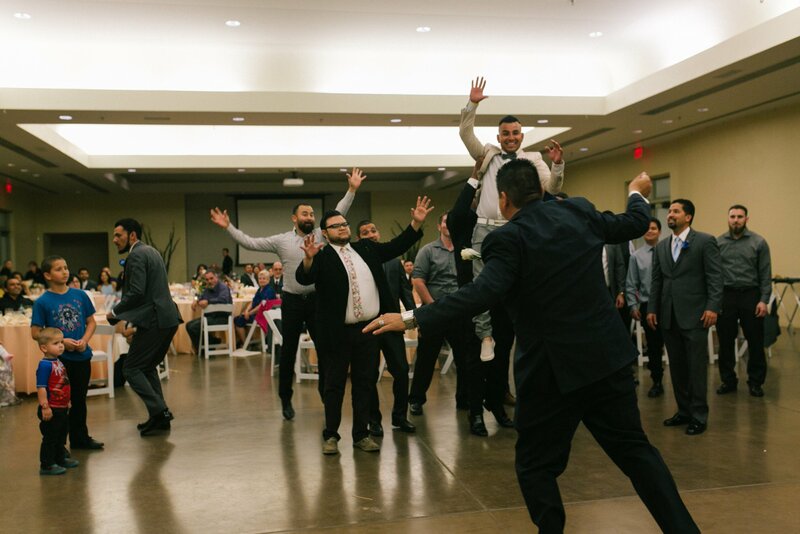 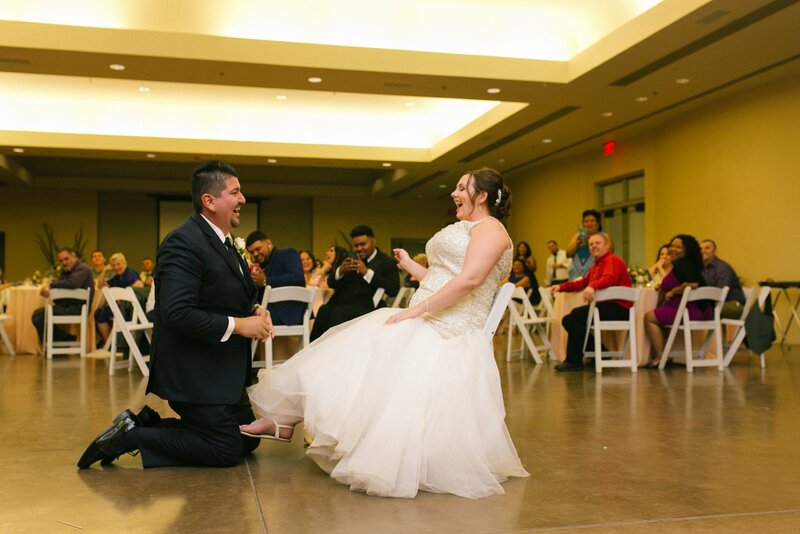 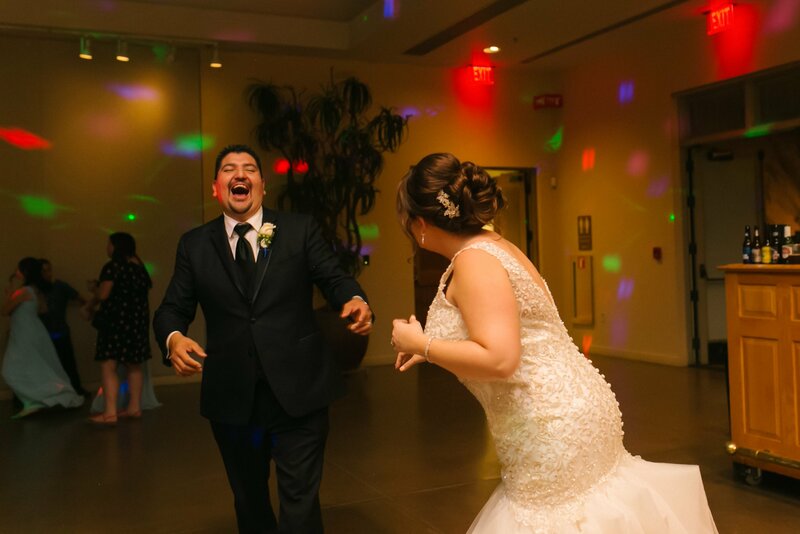 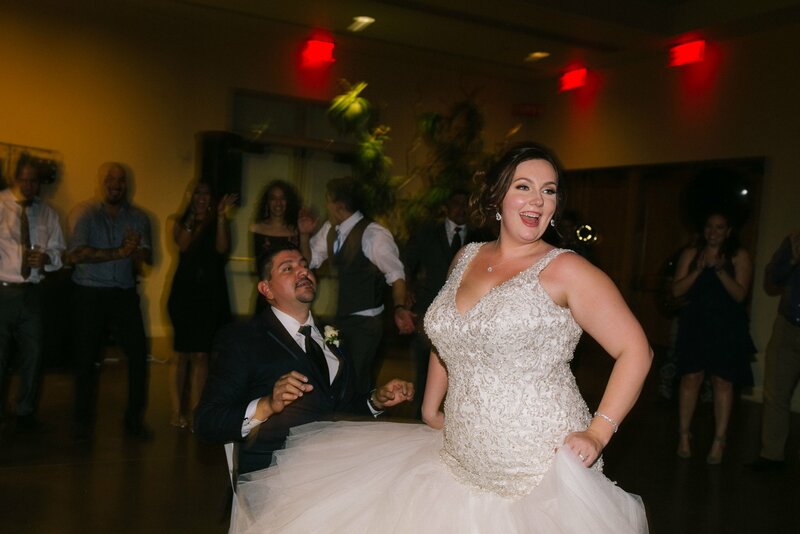 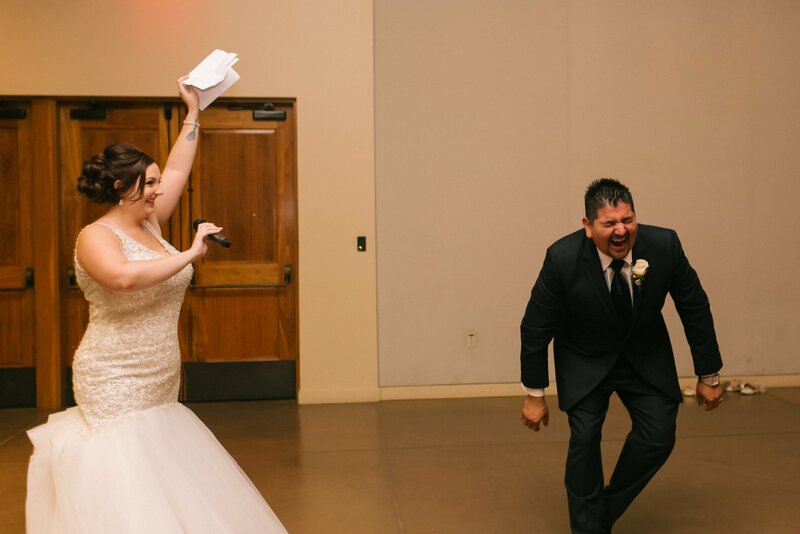 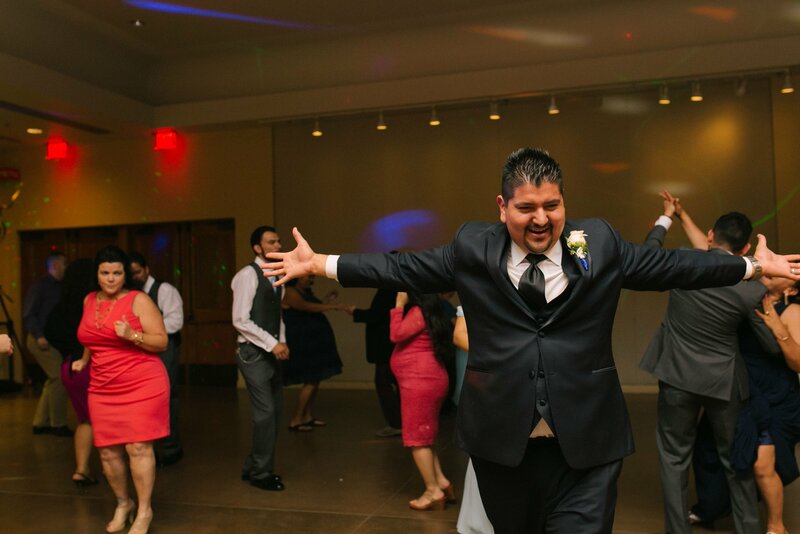 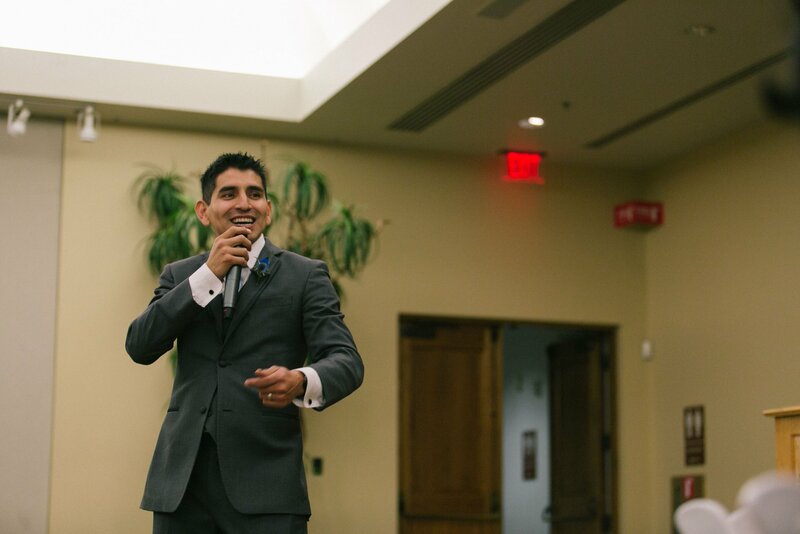 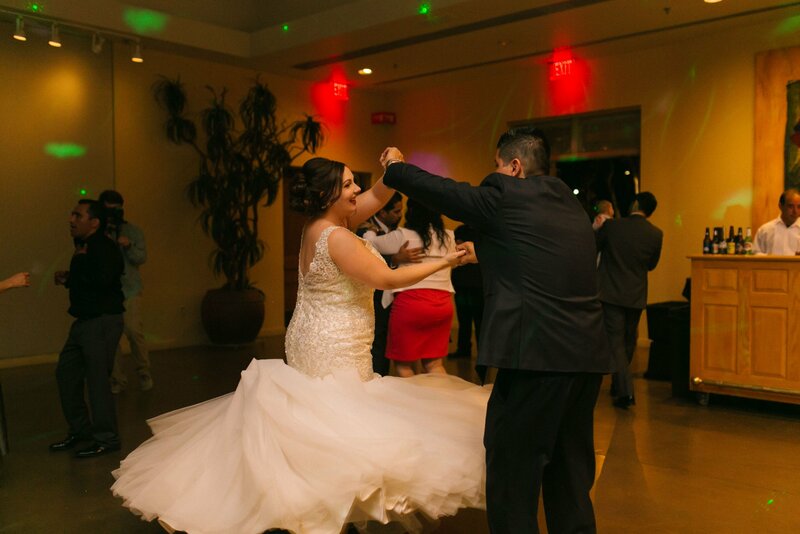 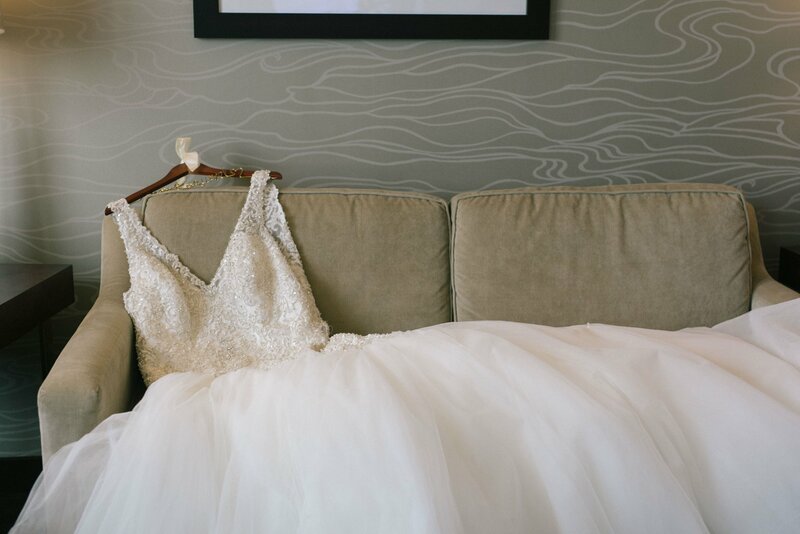 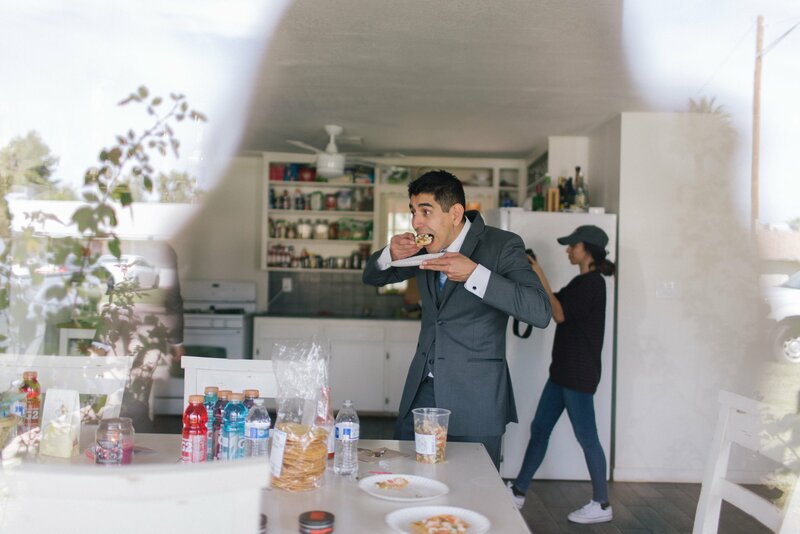 His reaction was amazing and made my documentary wedding photographer heart explode with joy. 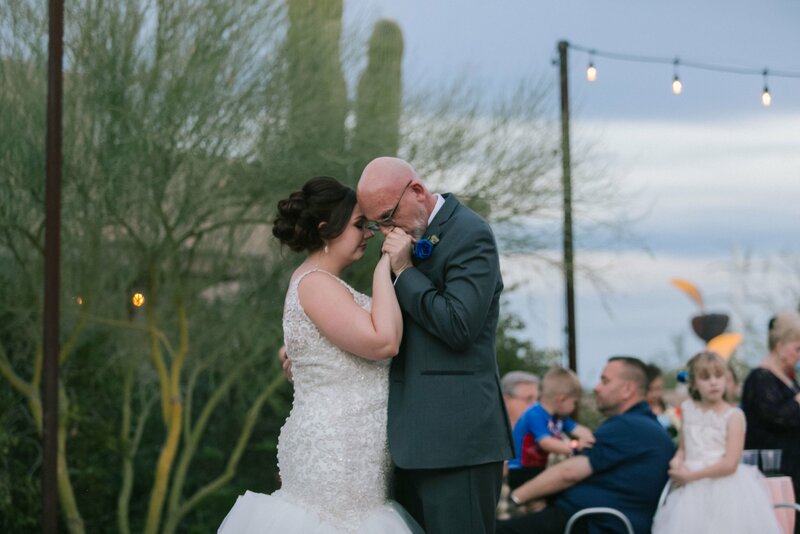 I LOVE capturing moments and emotion like that. 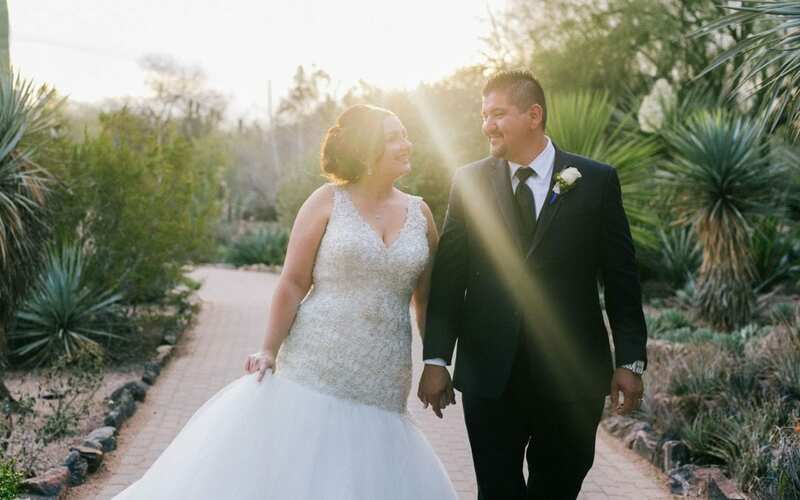 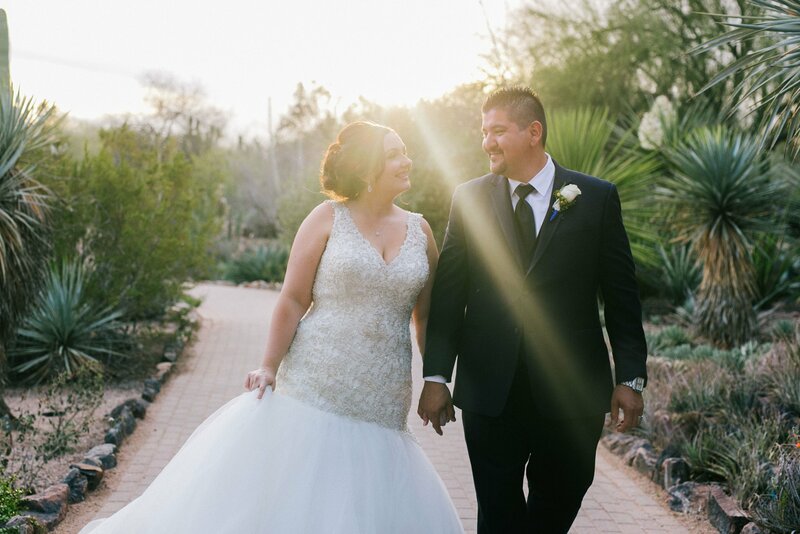 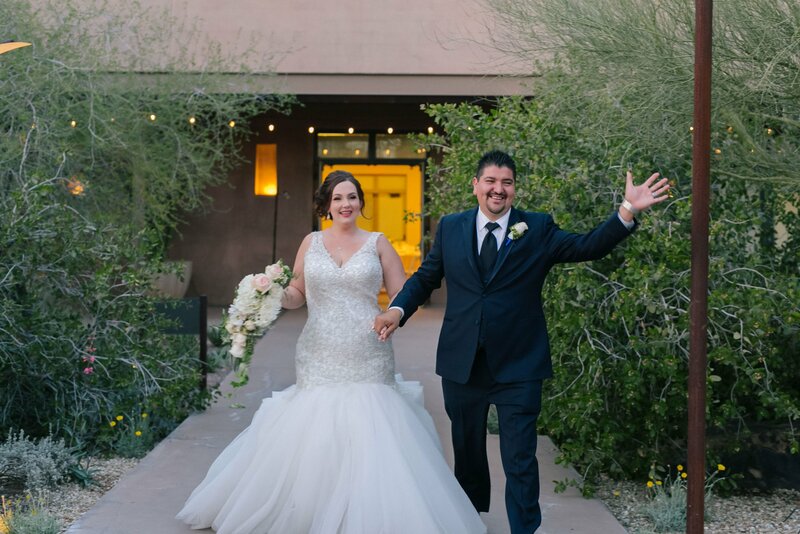 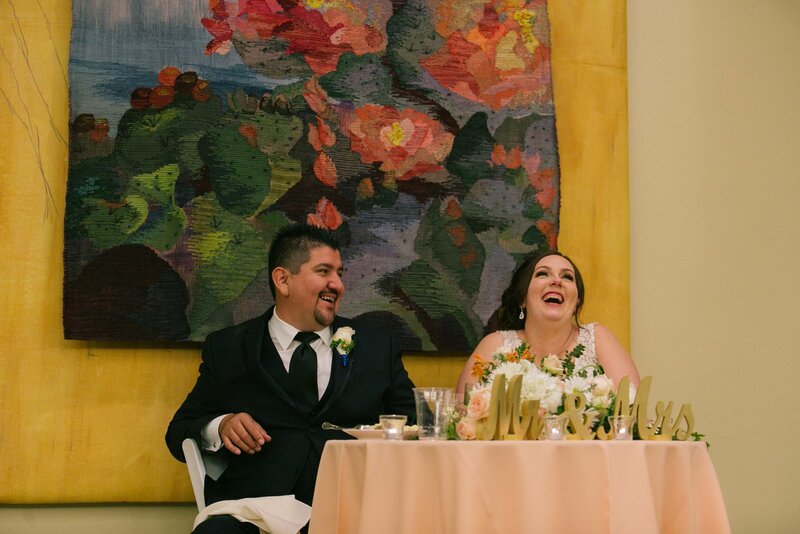 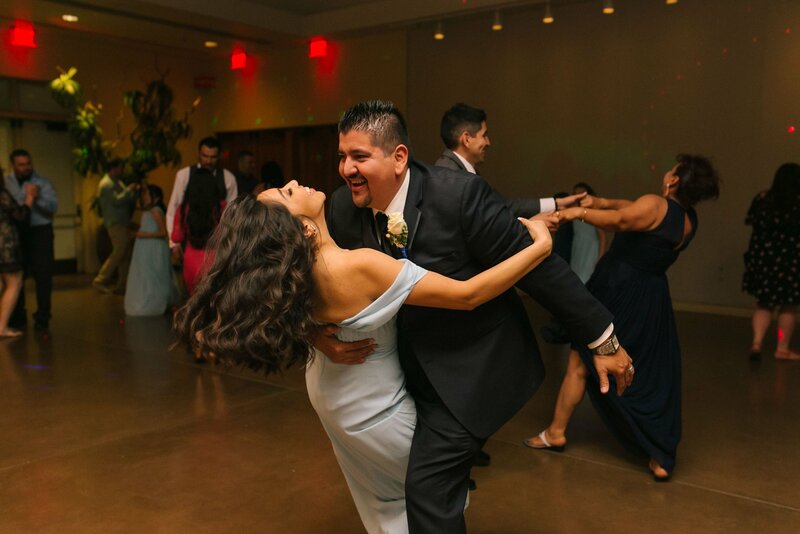 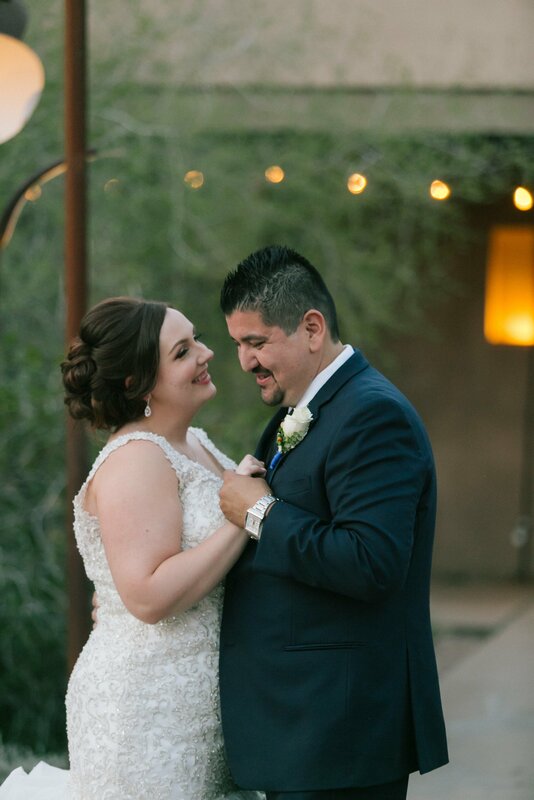 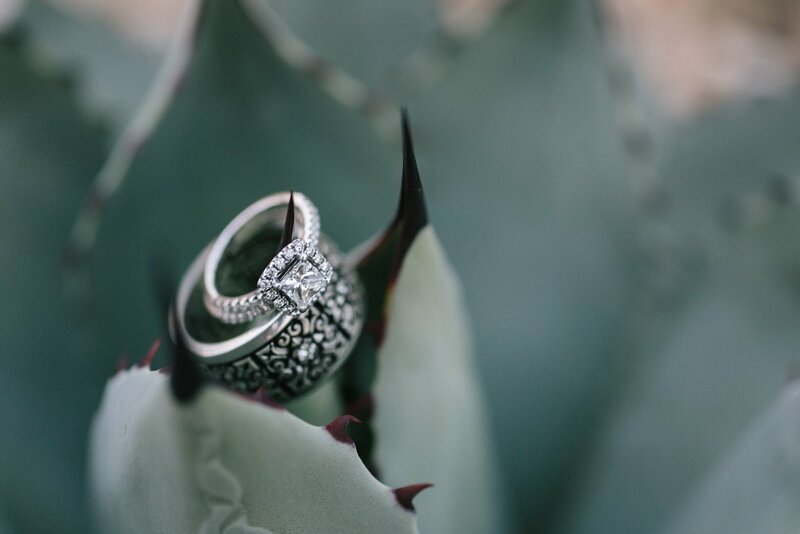 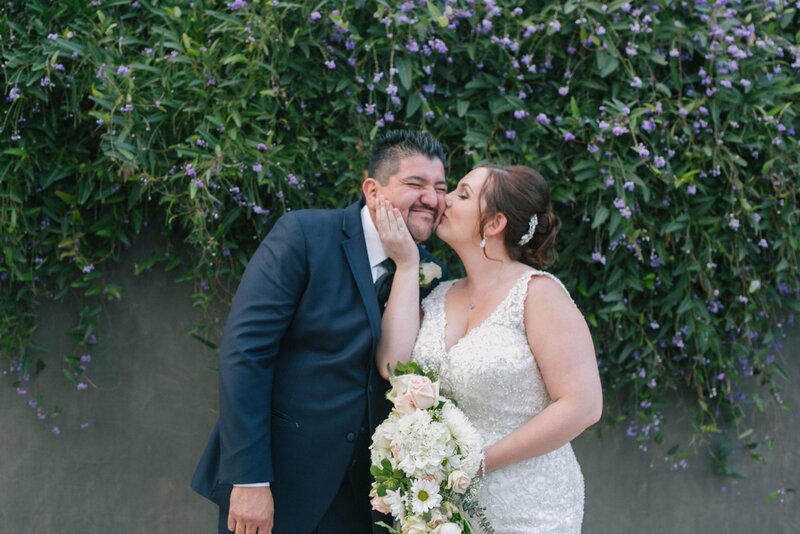 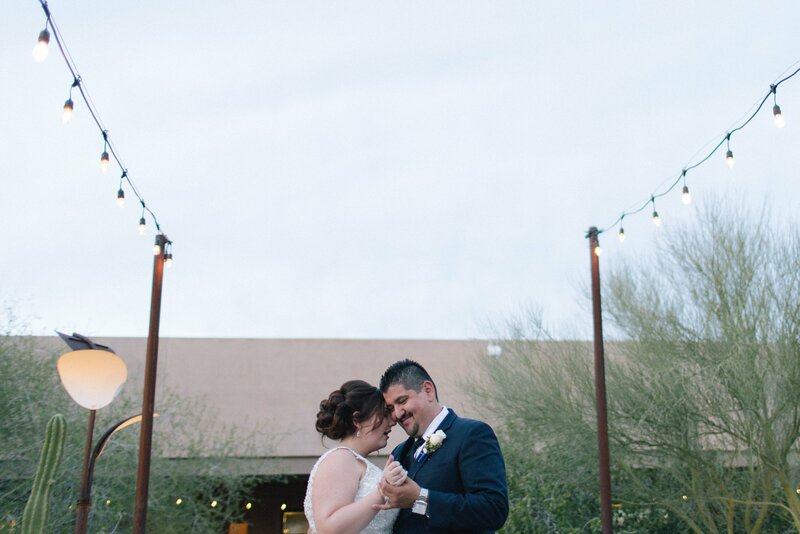 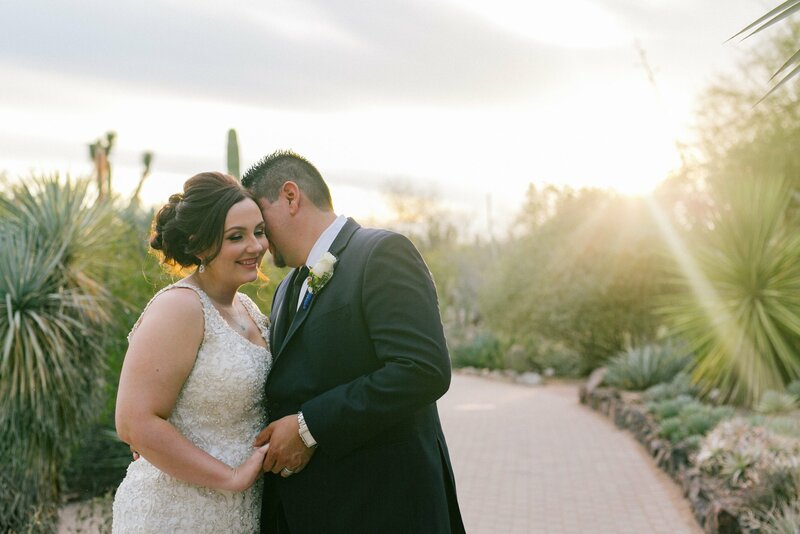 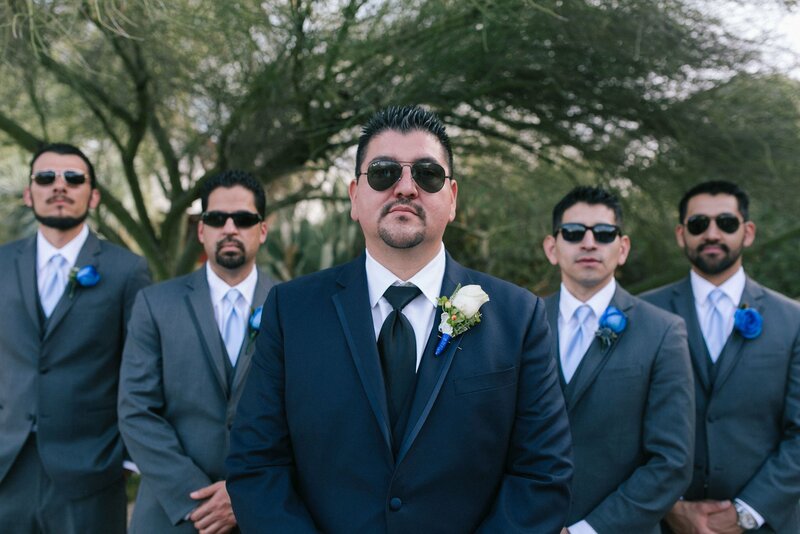 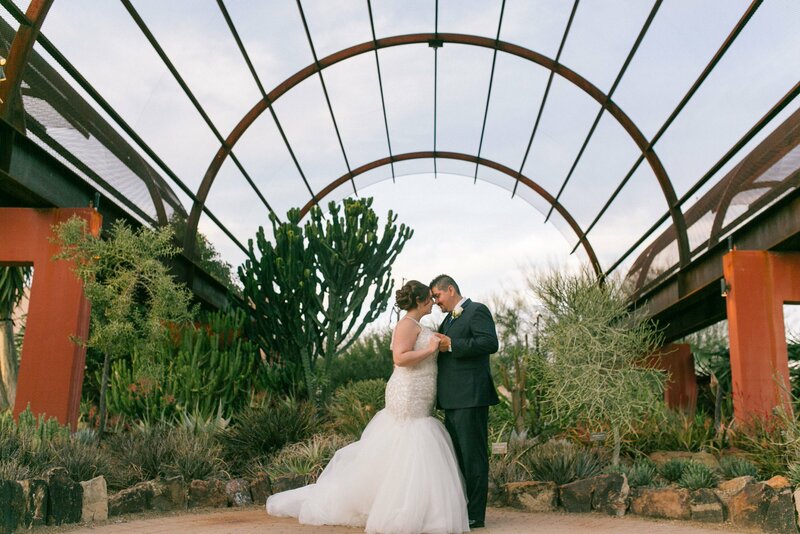 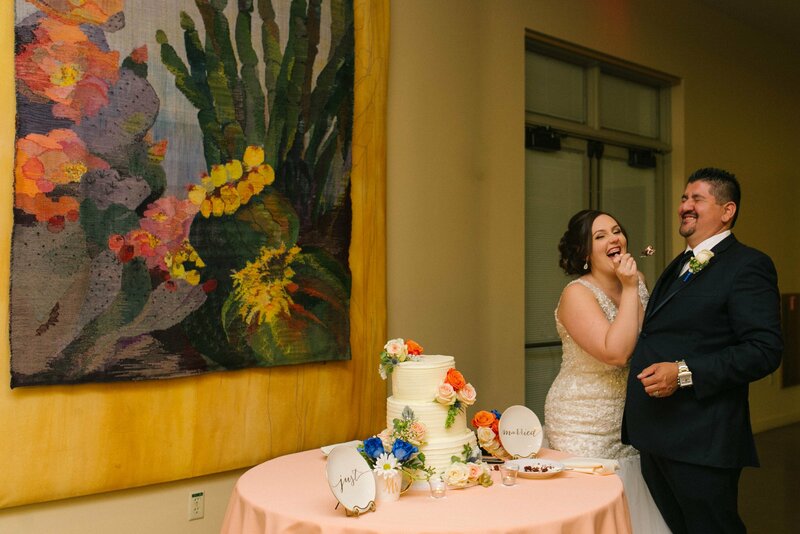 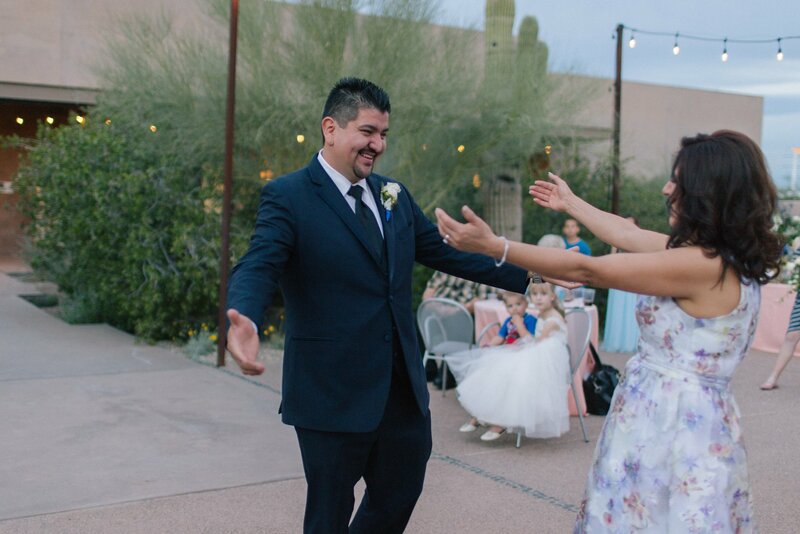 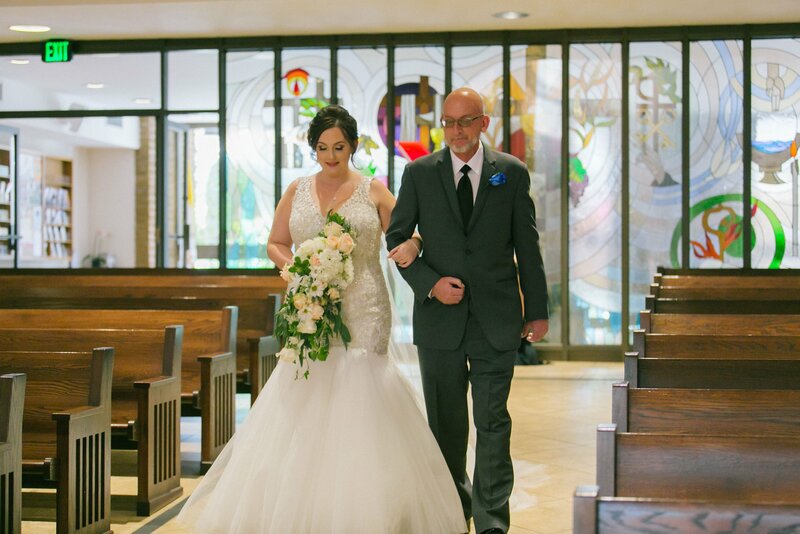 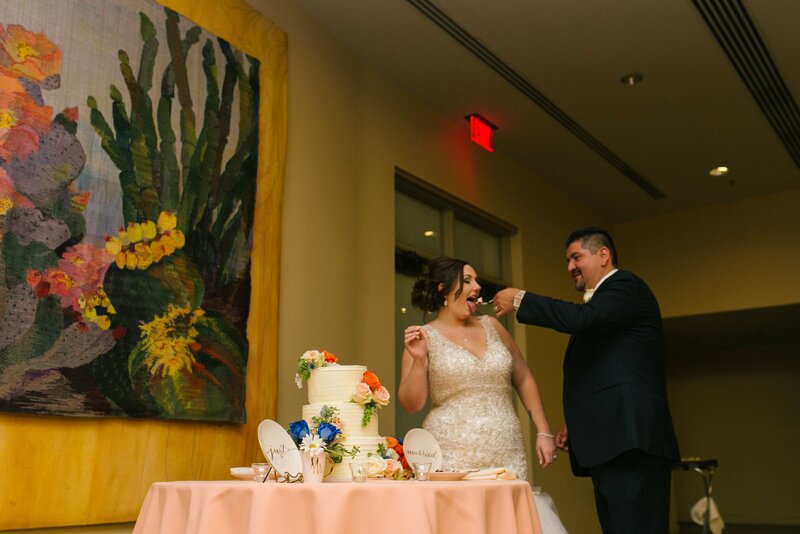 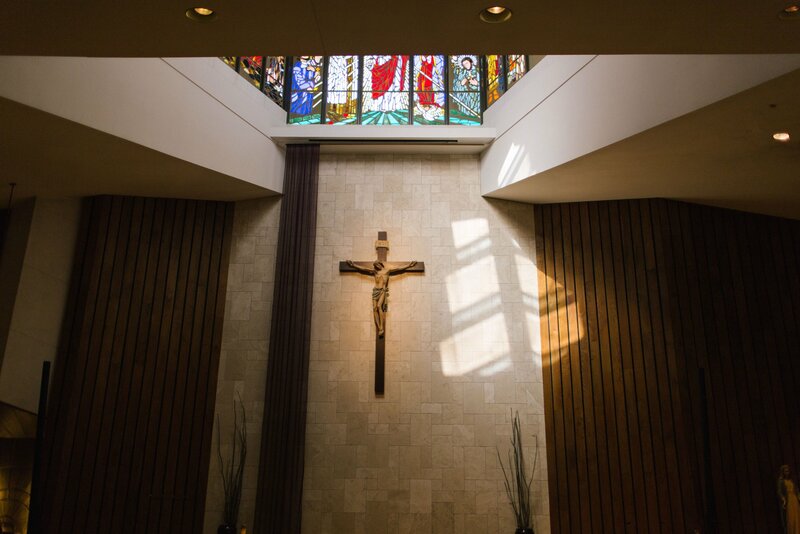 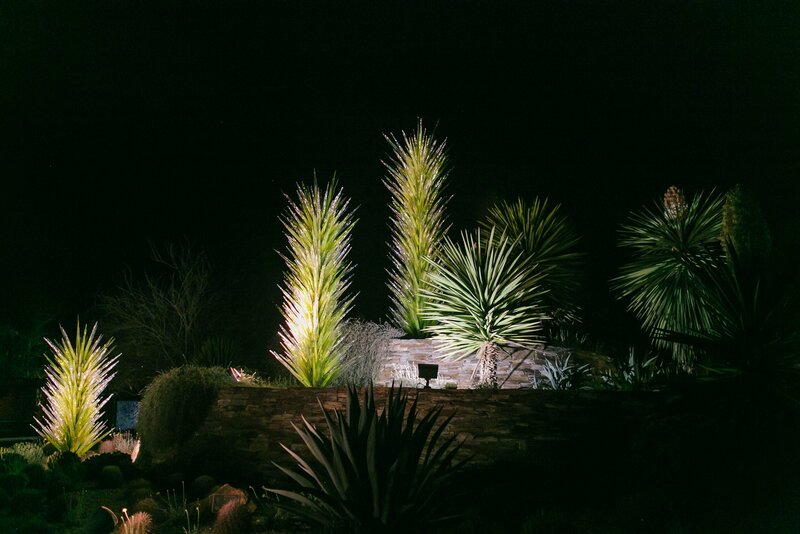 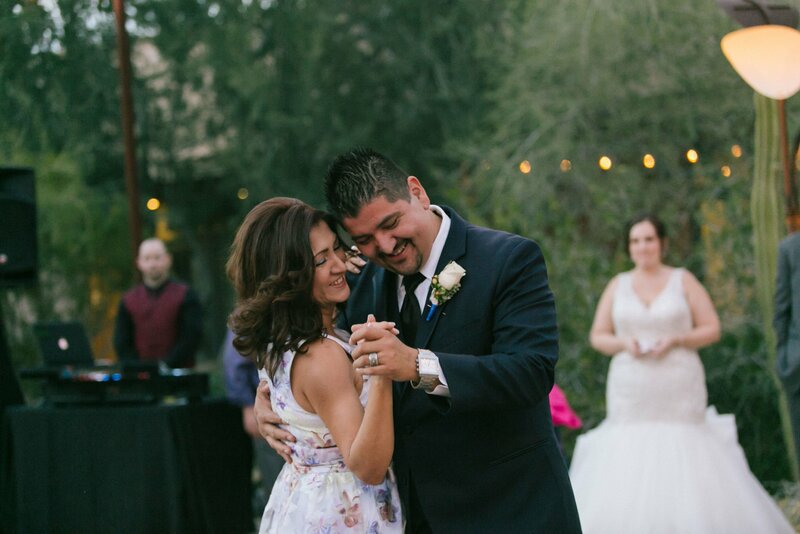 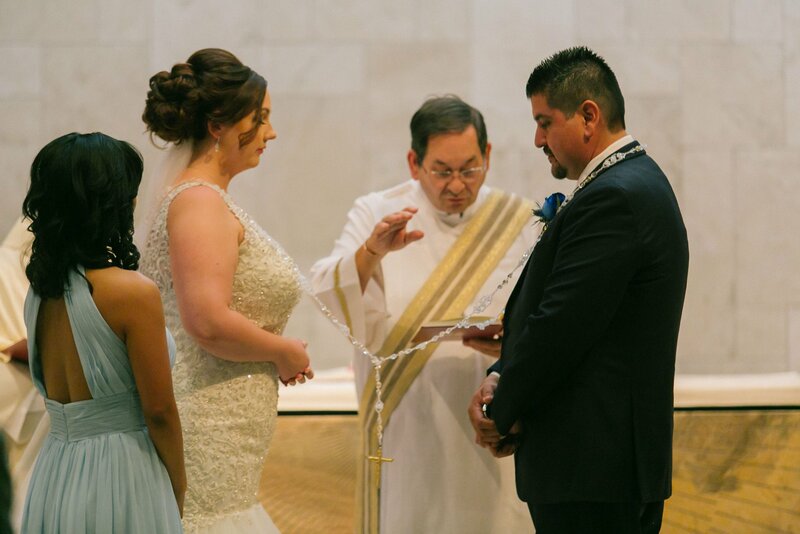 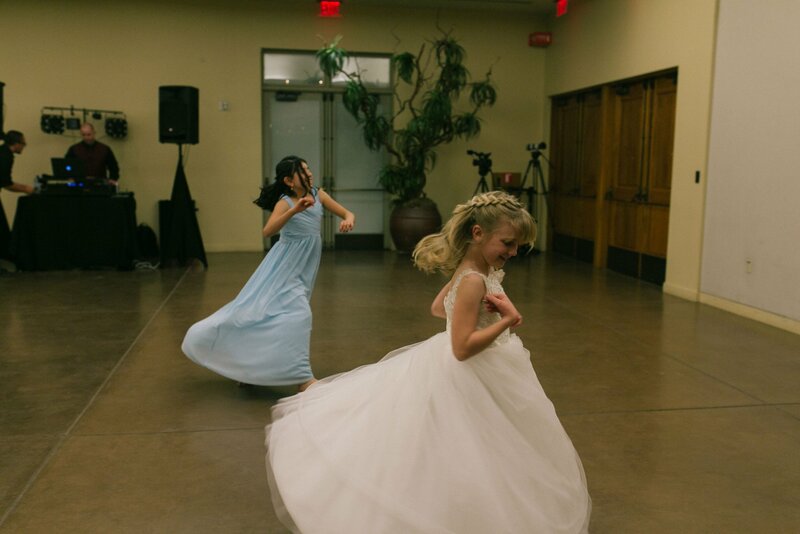 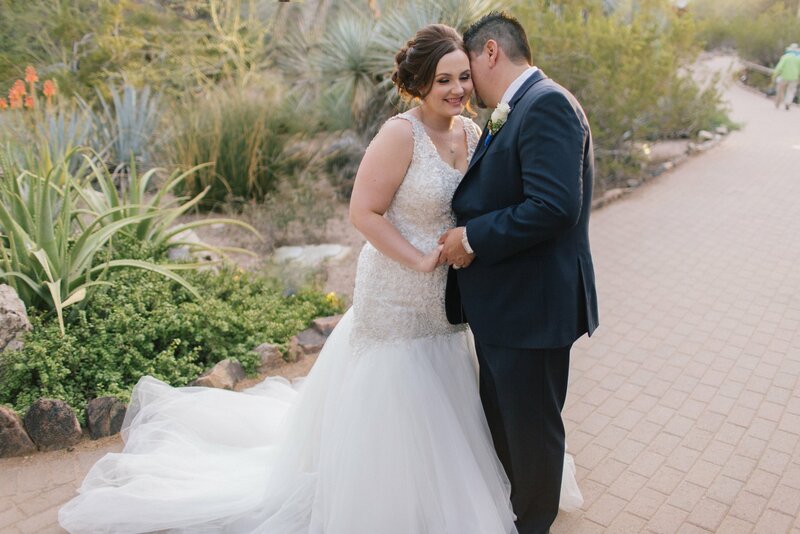 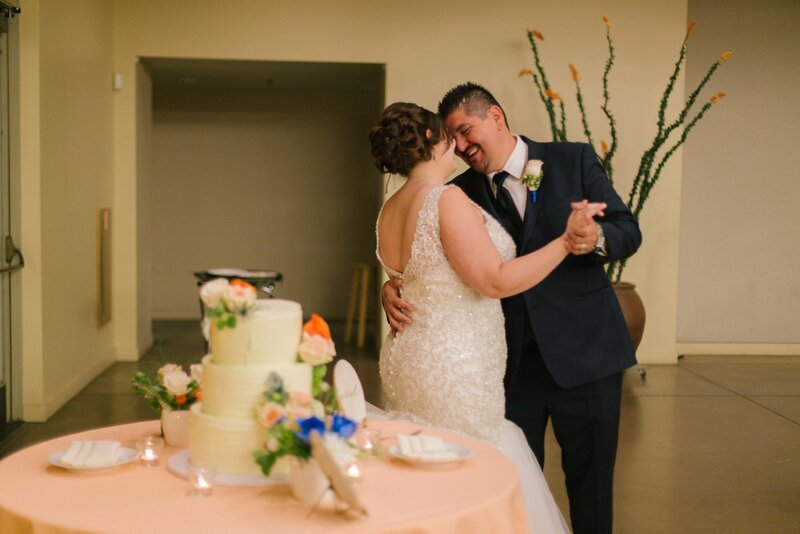 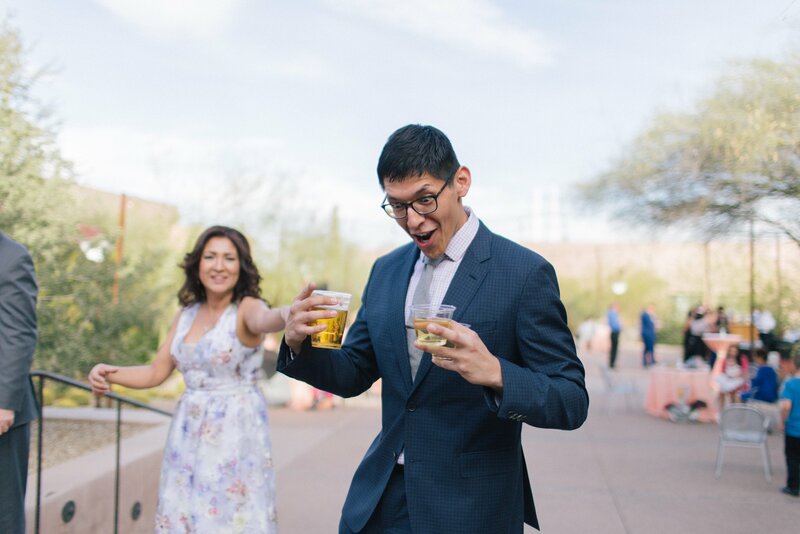 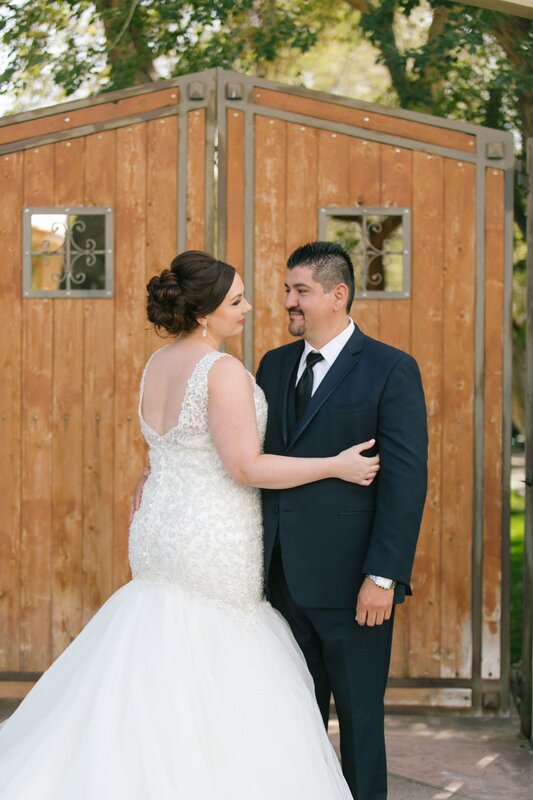 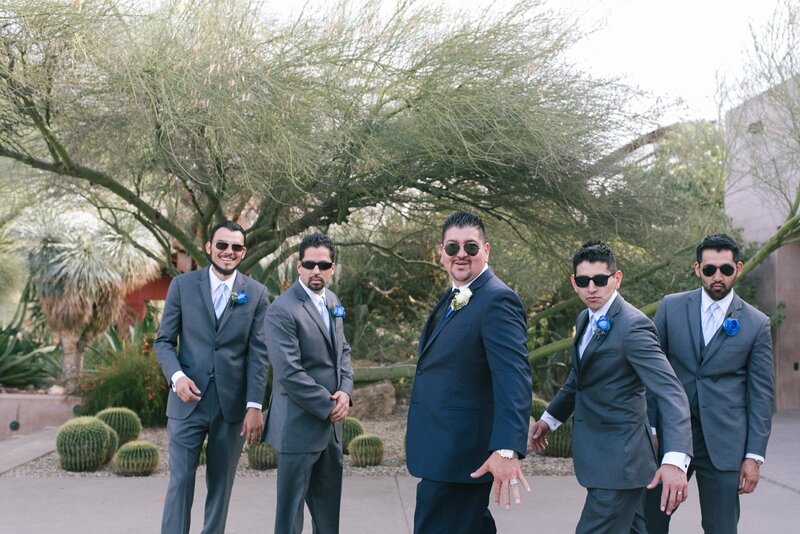 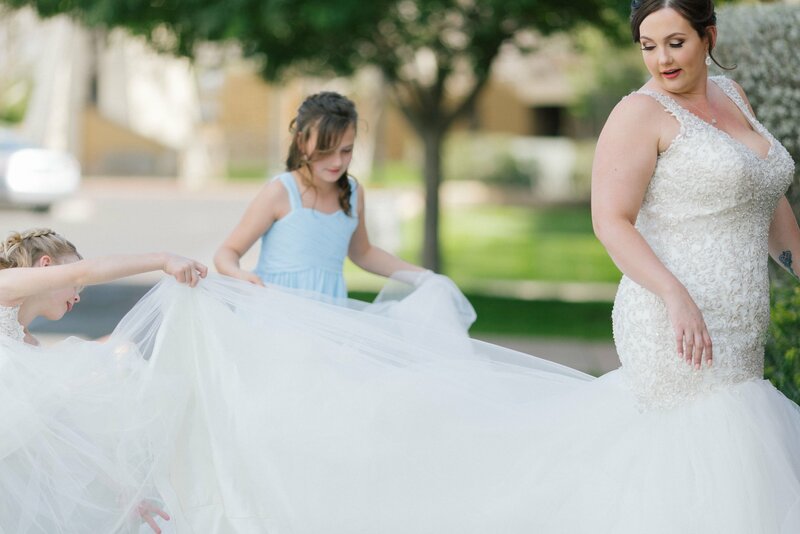 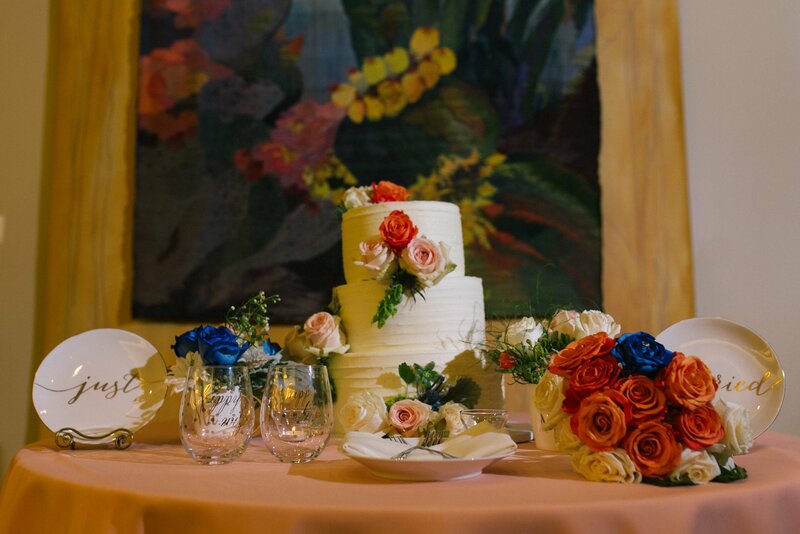 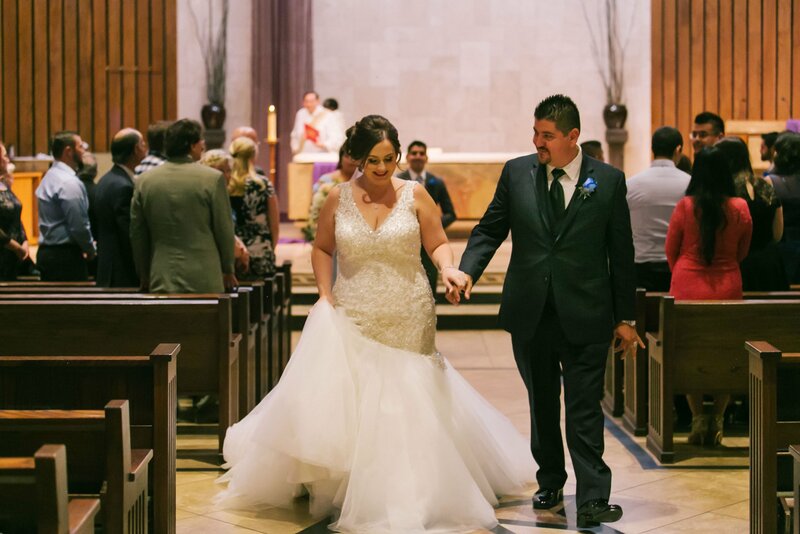 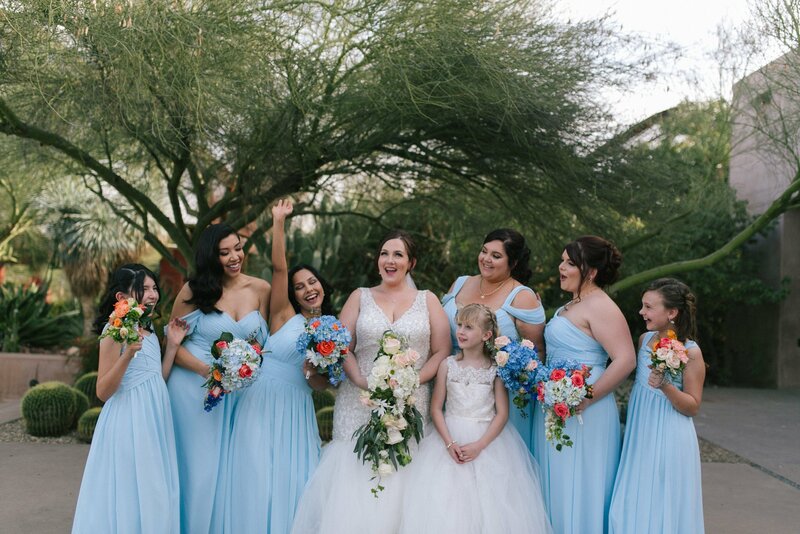 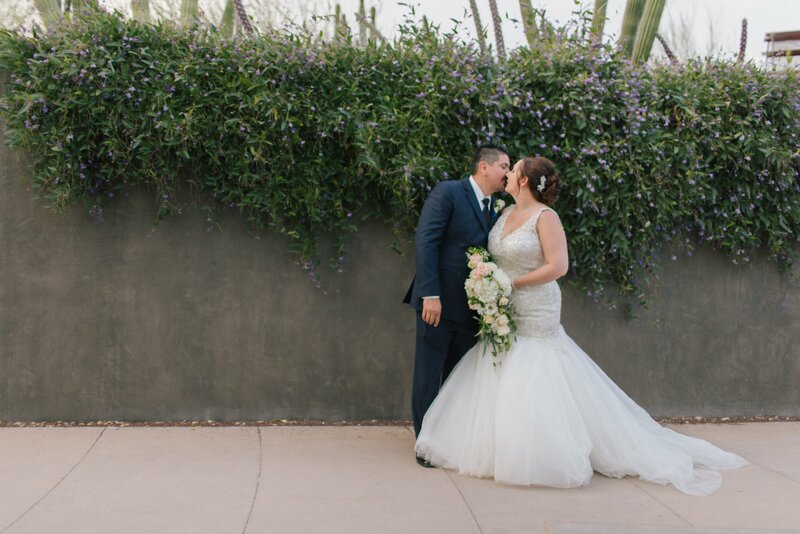 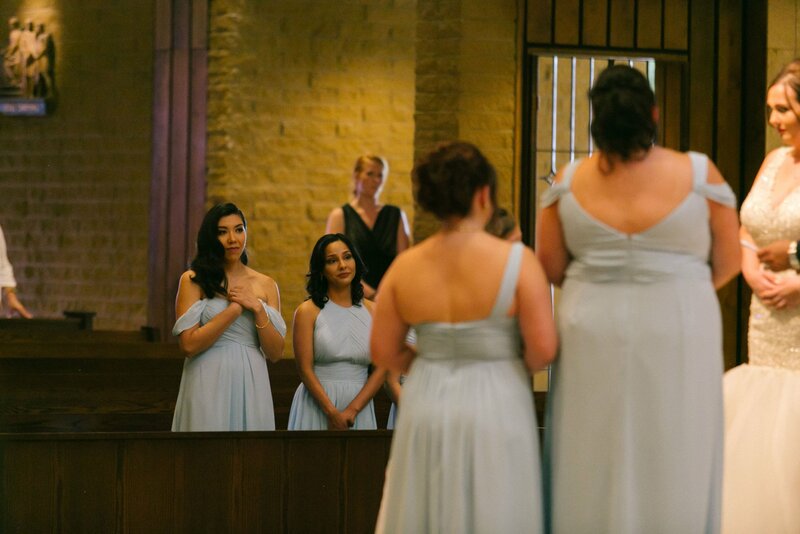 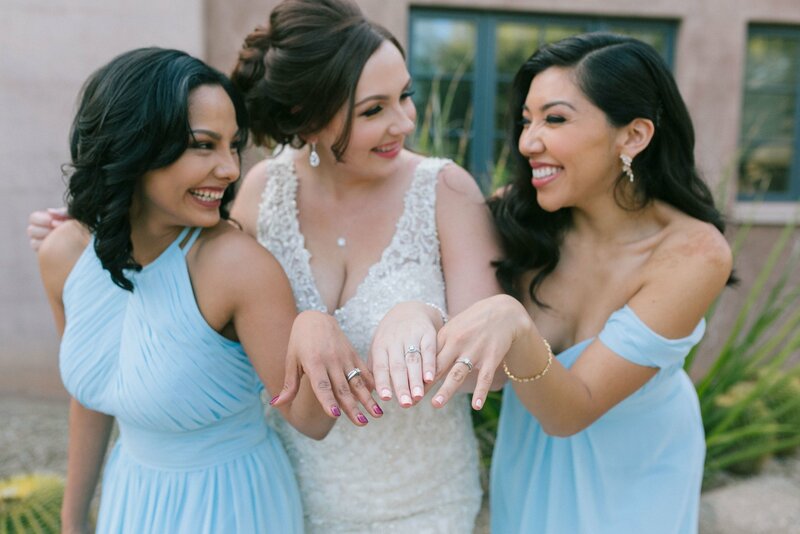 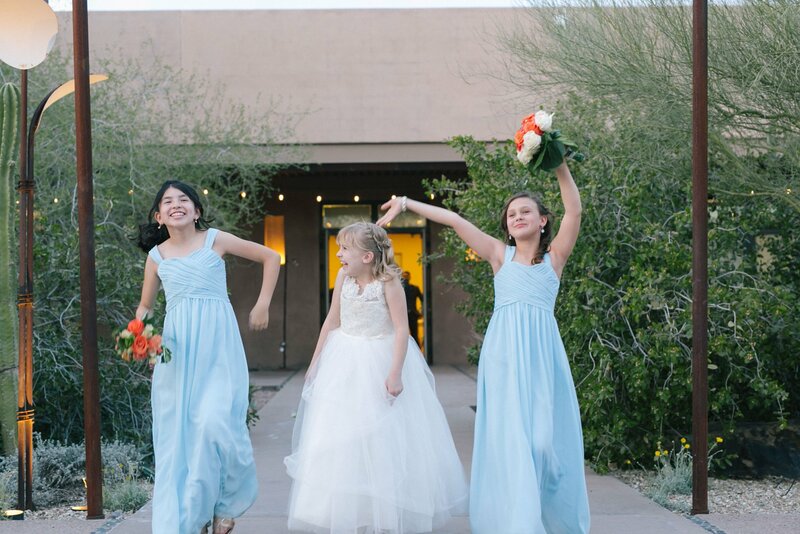 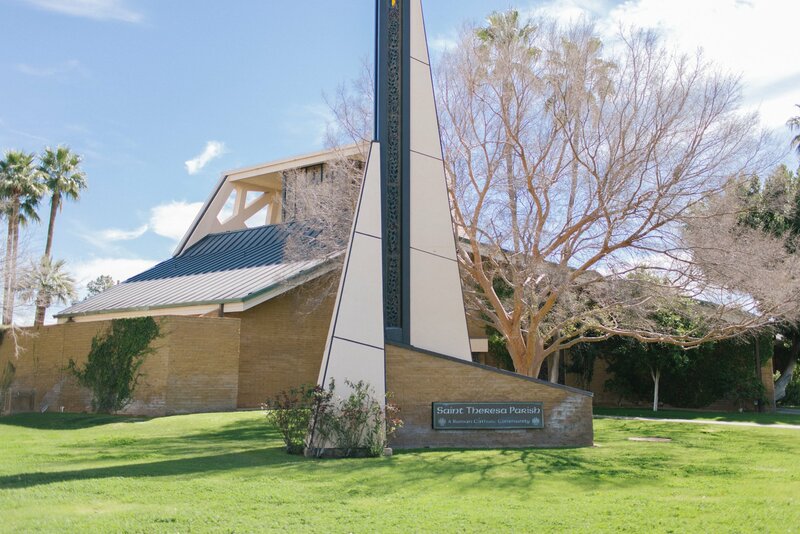 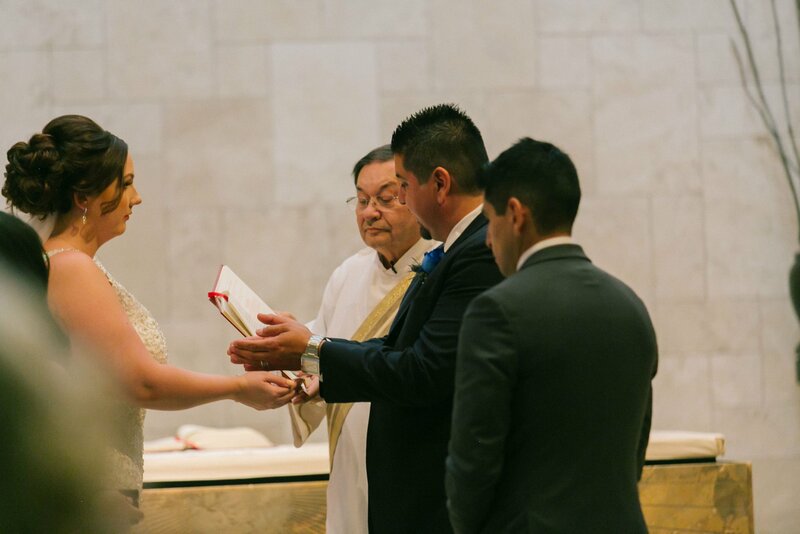 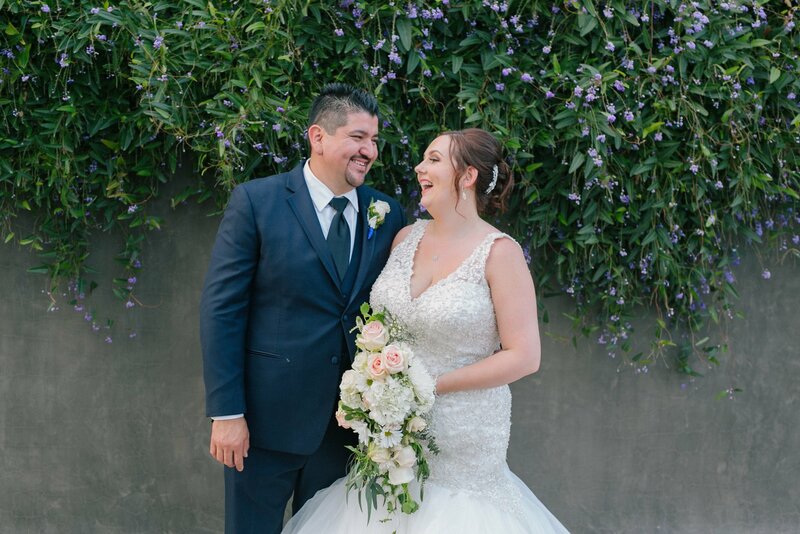 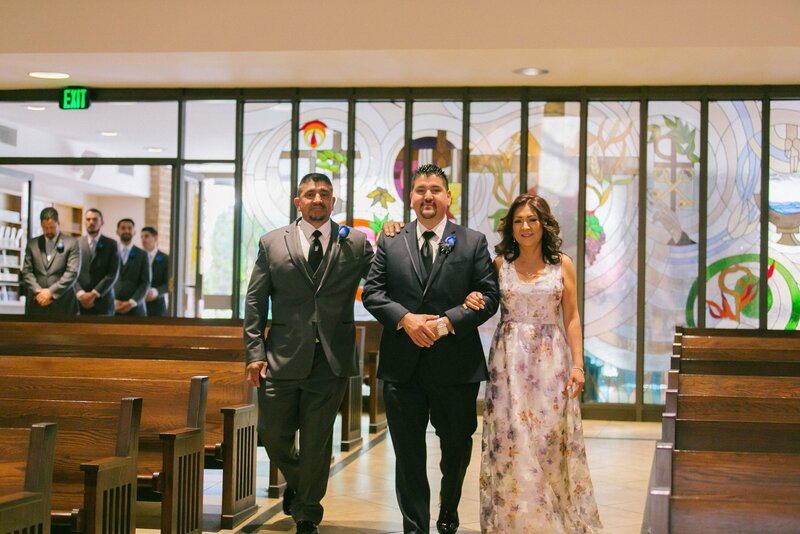 And the Desert Botanical Gardens was a fantastic setting for their reception after their ceremony at St Teresa’s Catholic Parish with so many gorgeous backdrops and a great reception space. 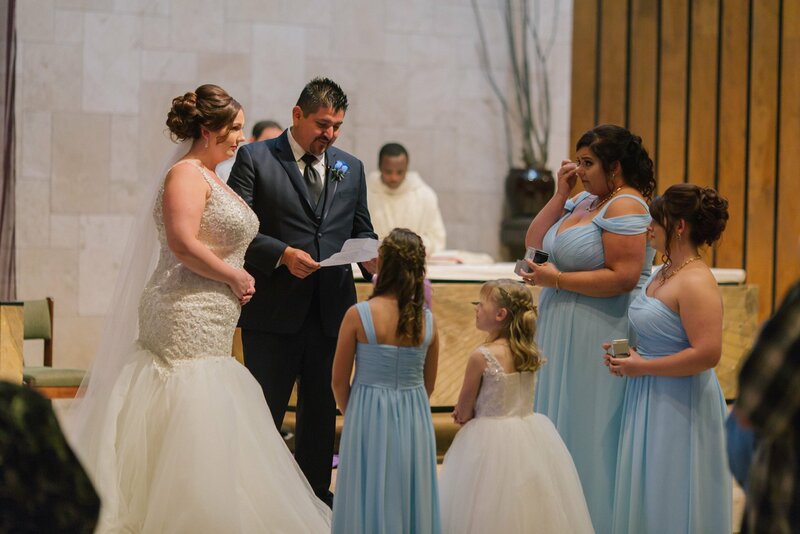 Mauricio’s vows to Danielle’s daughters with Anita & Fatima tearing up behind them, and Danielle’s sisters tearing up at the father daughter dance were also some favorite moments. 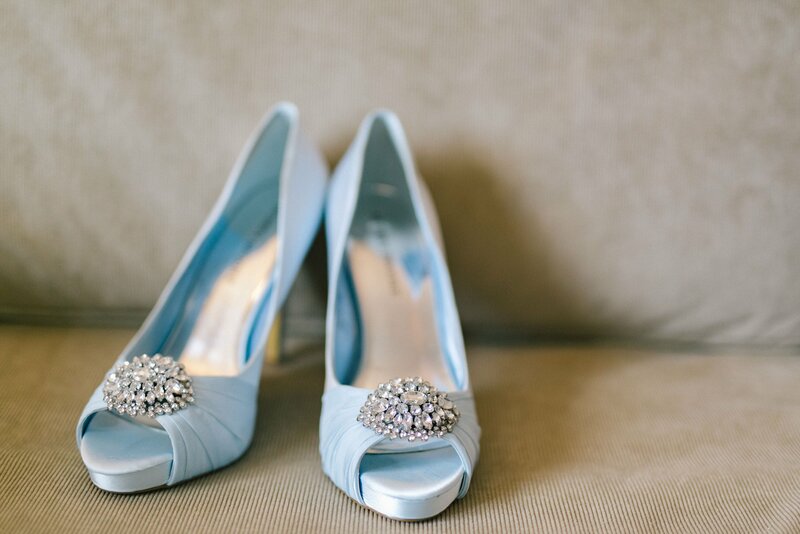 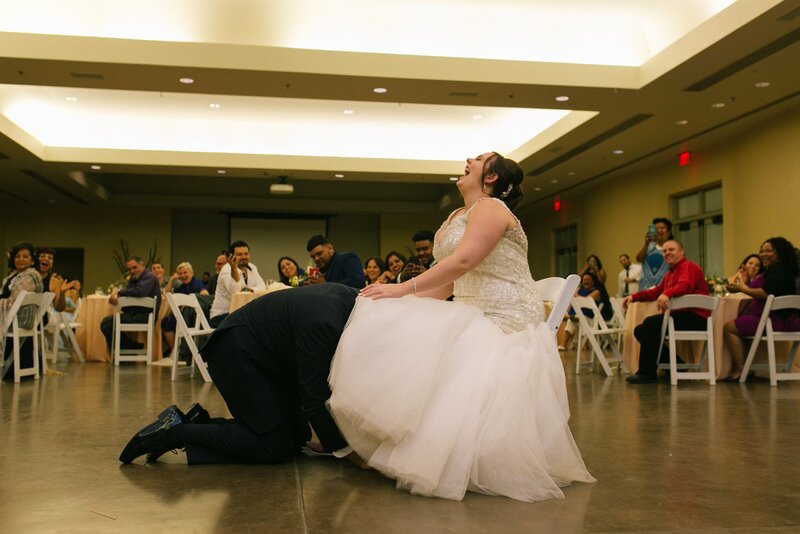 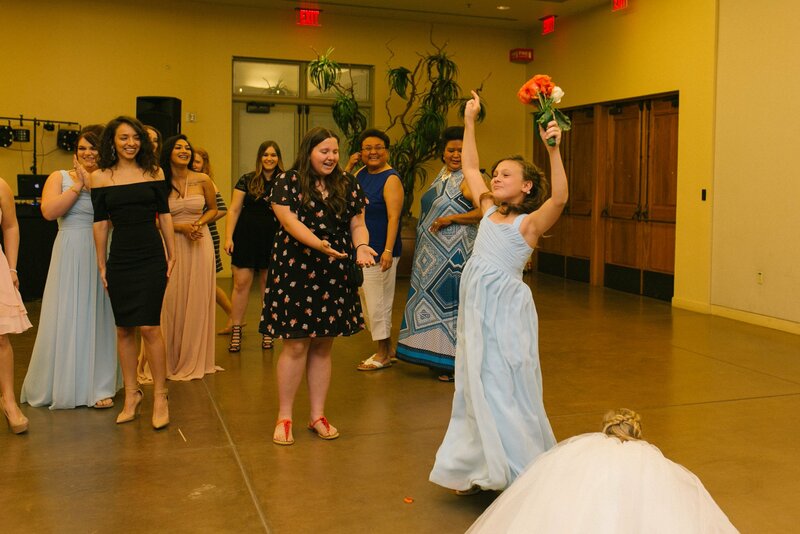 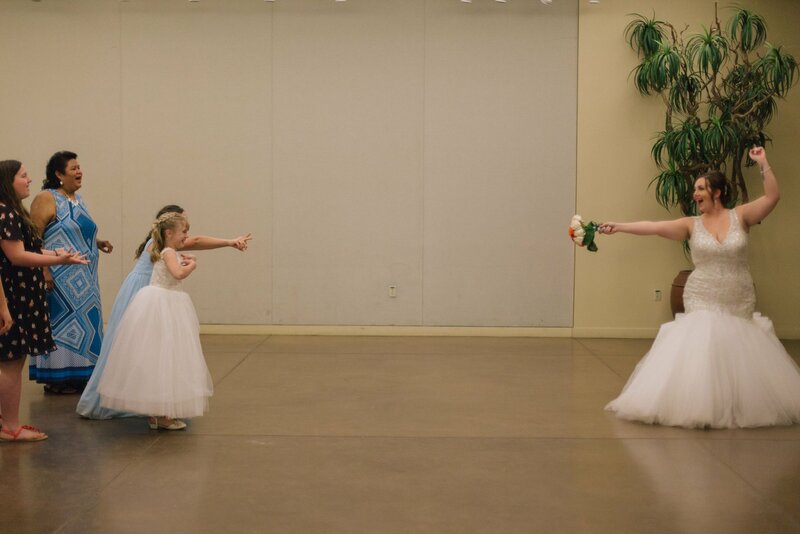 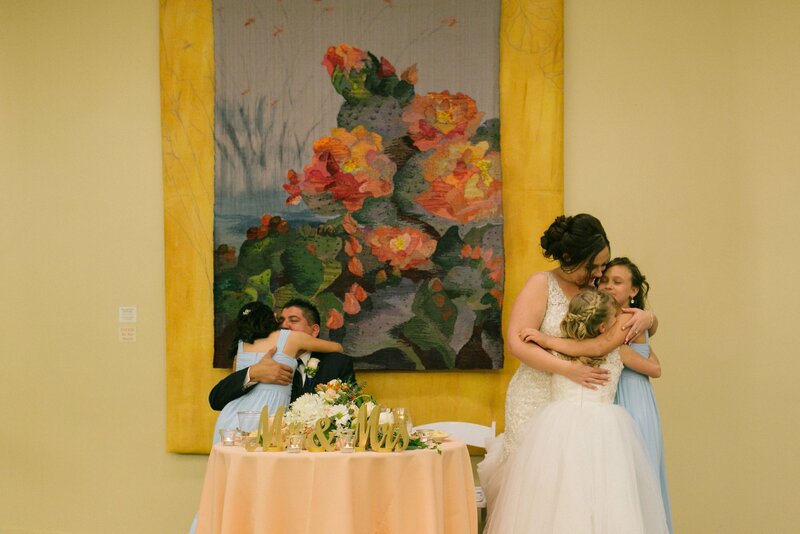 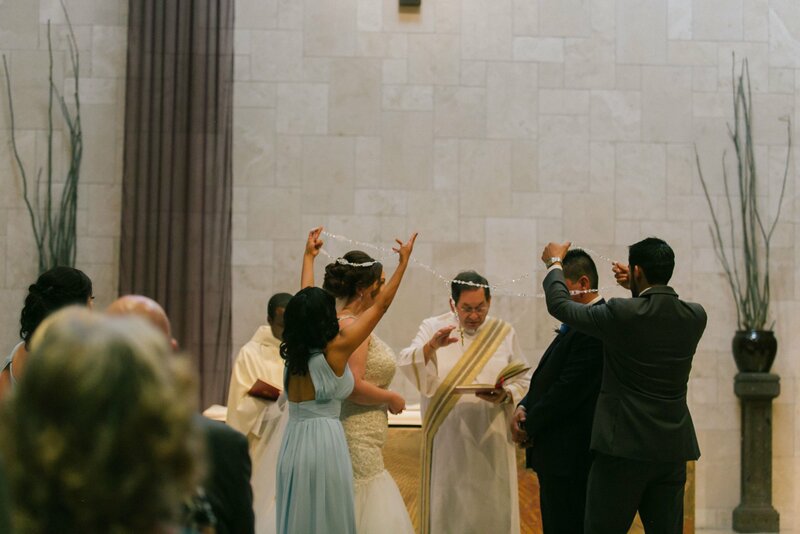 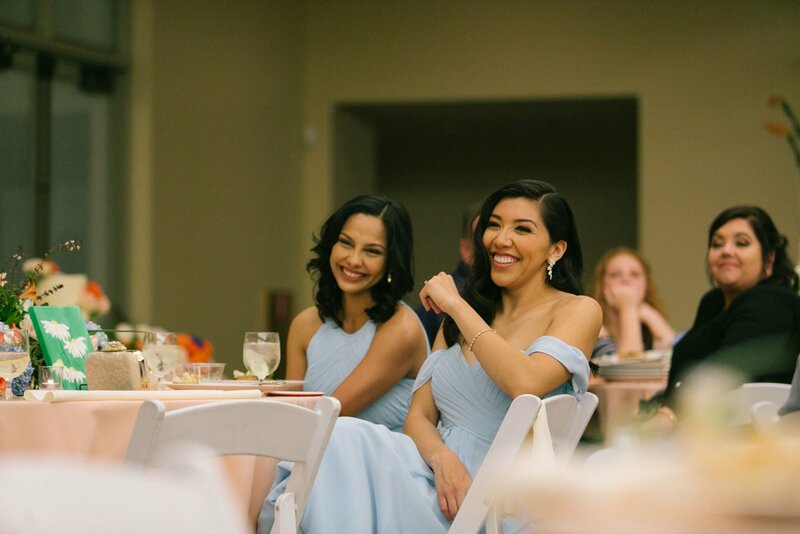 Tears are not a bad thing at a wedding! 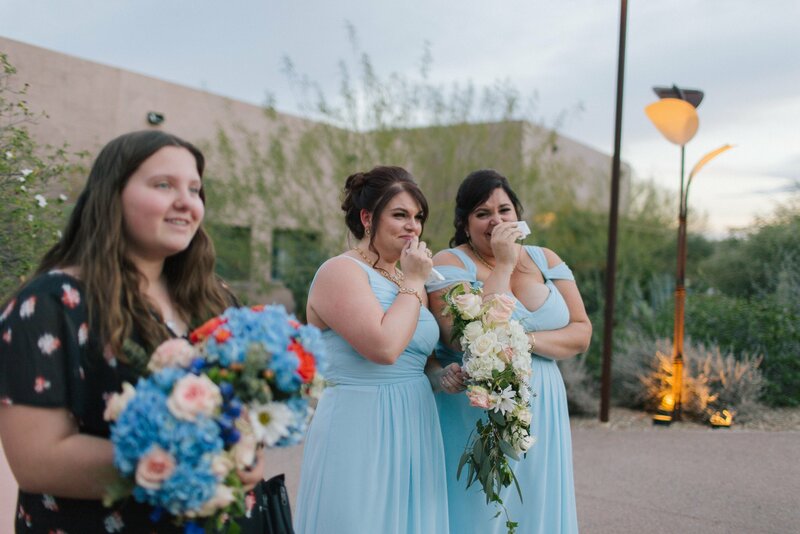 Don’t hide them!